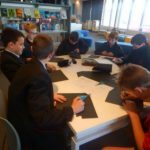 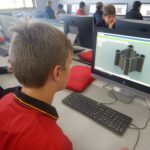 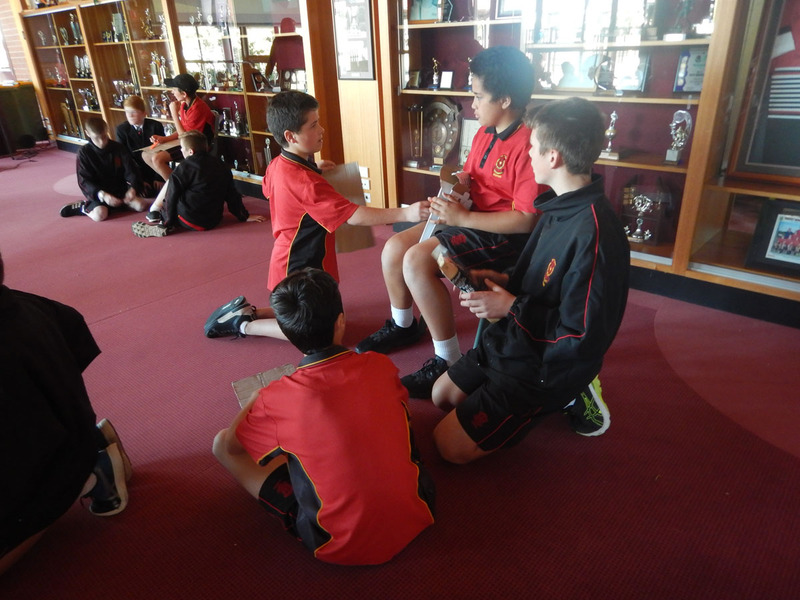 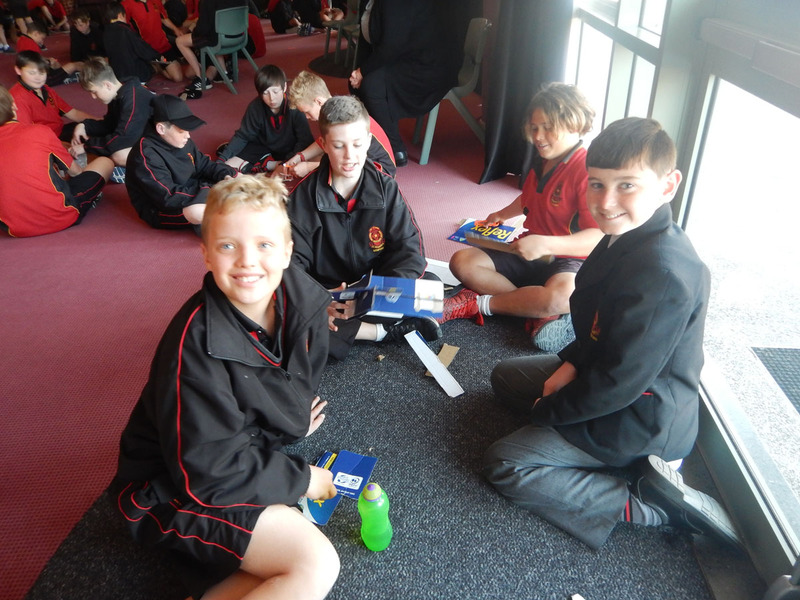 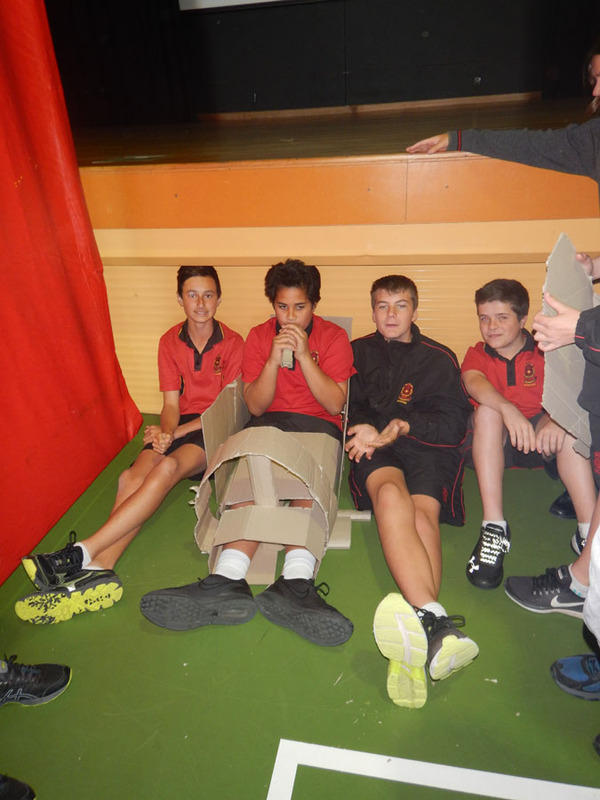 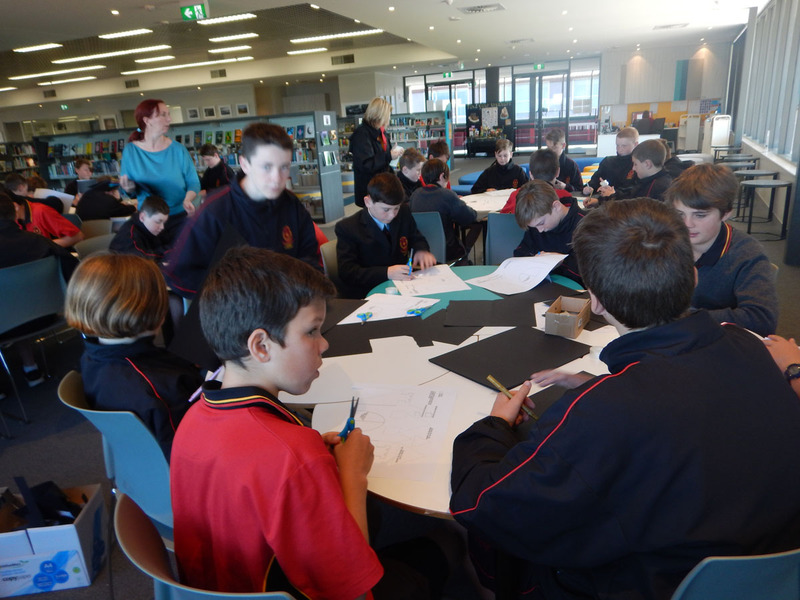 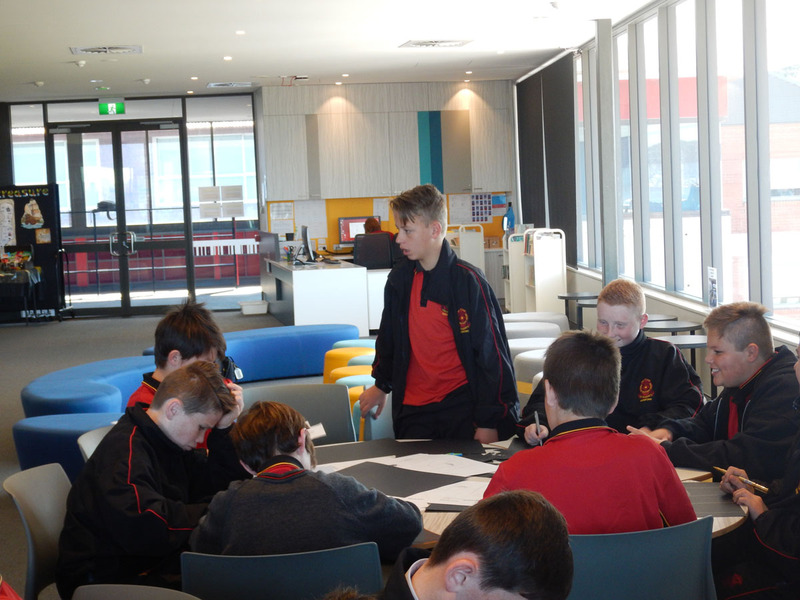 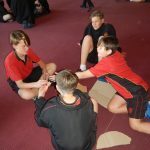 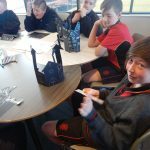 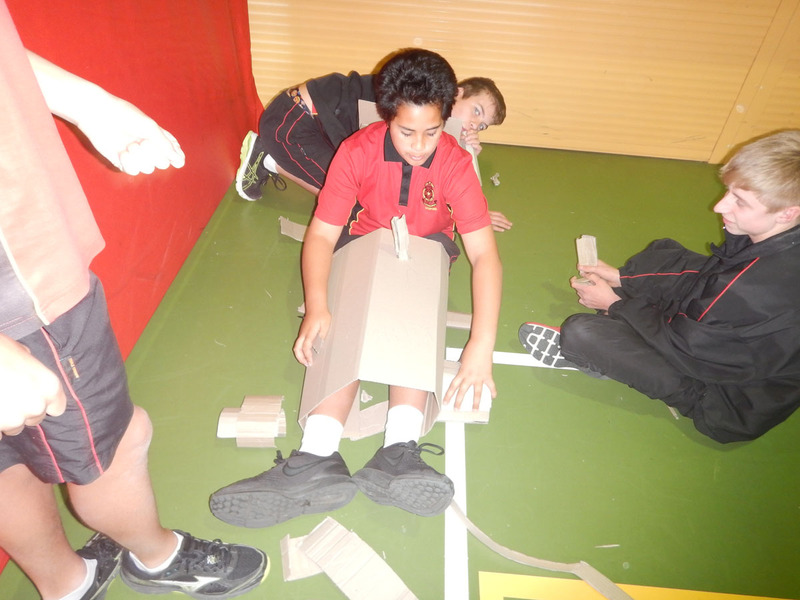 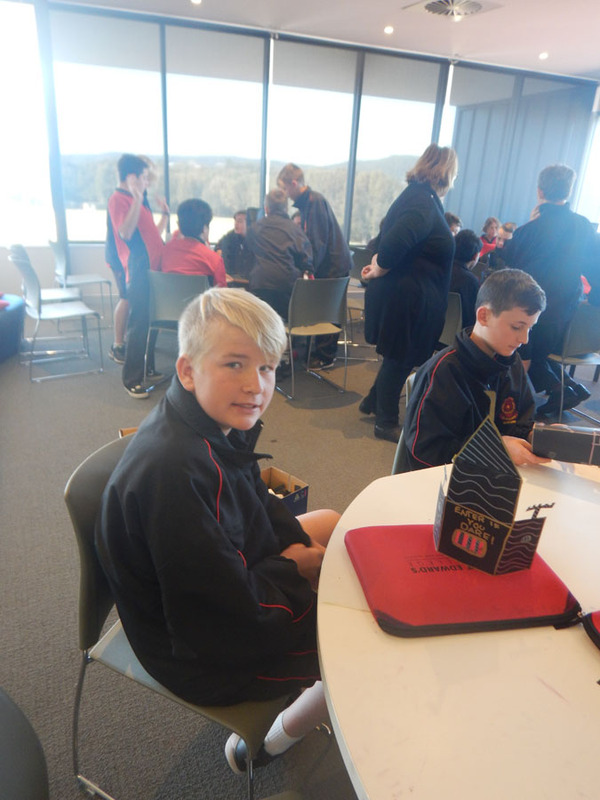 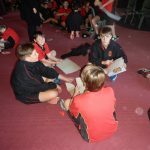 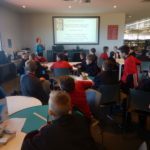 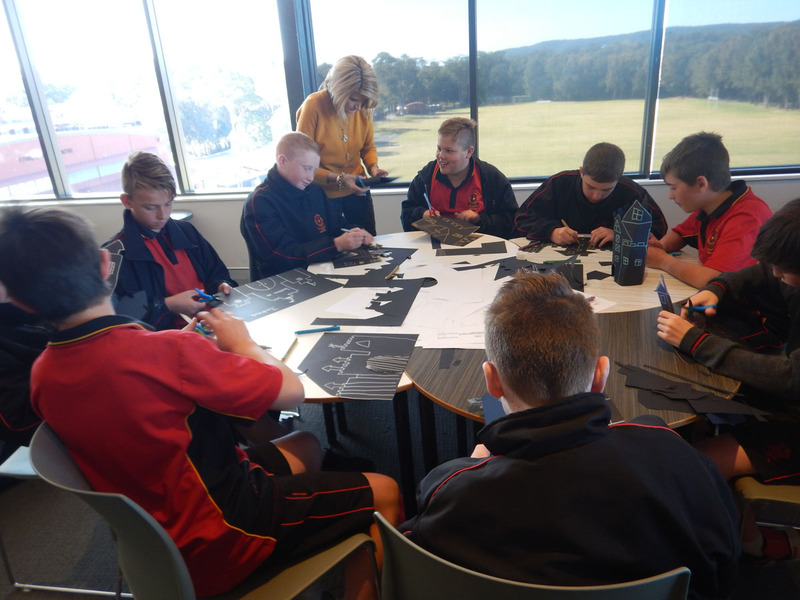 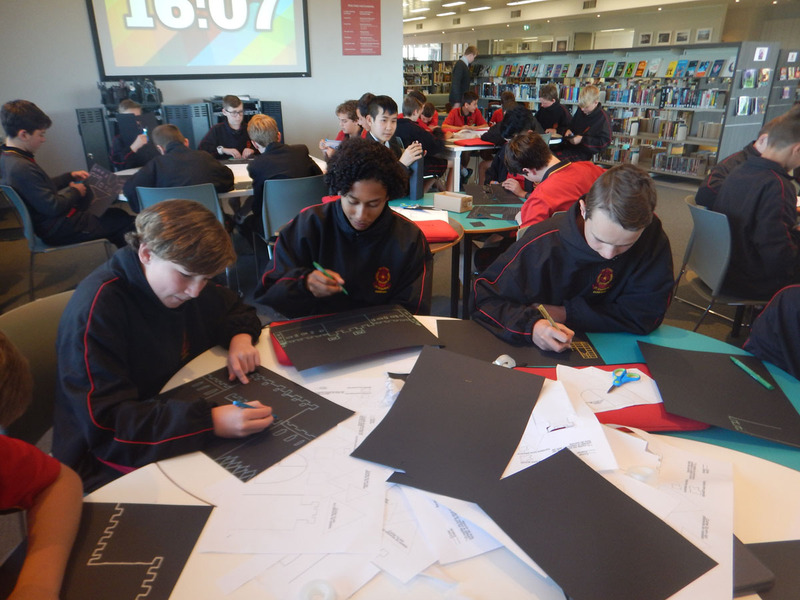 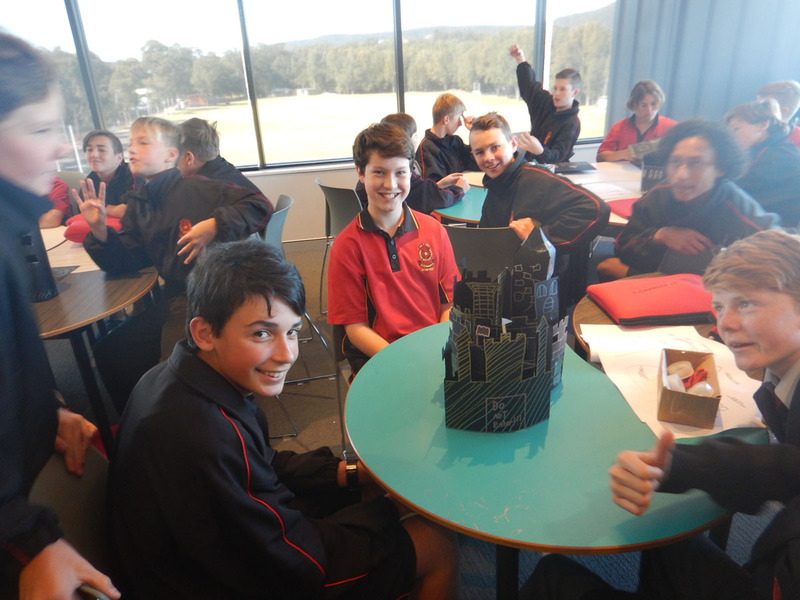 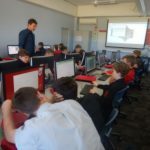 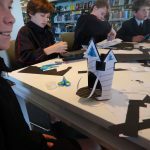 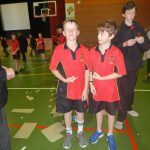 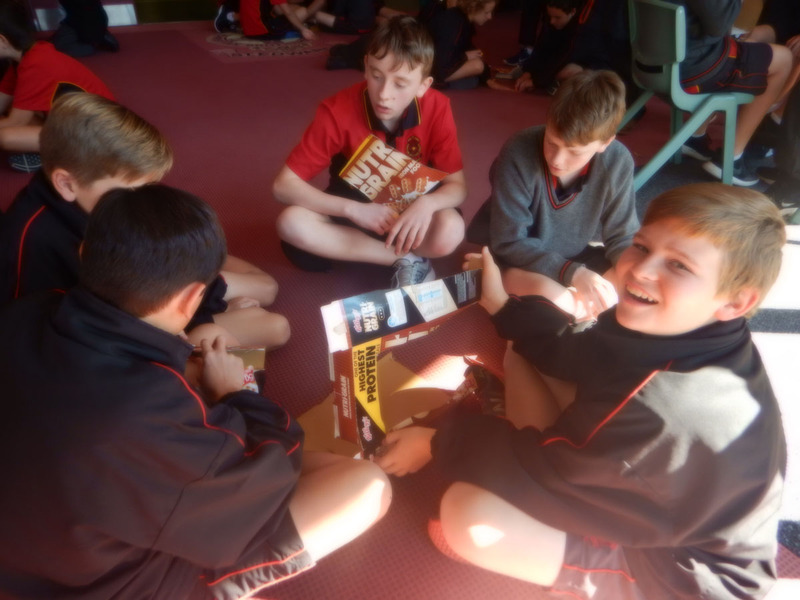 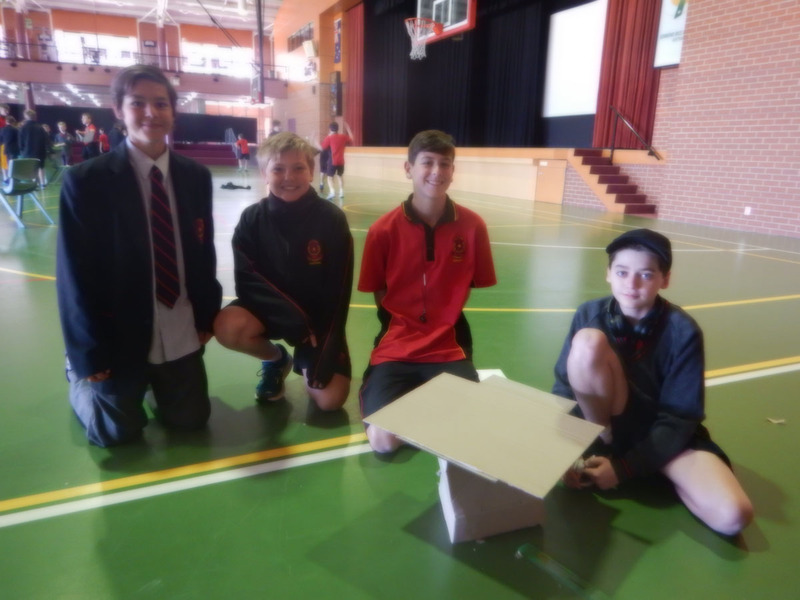 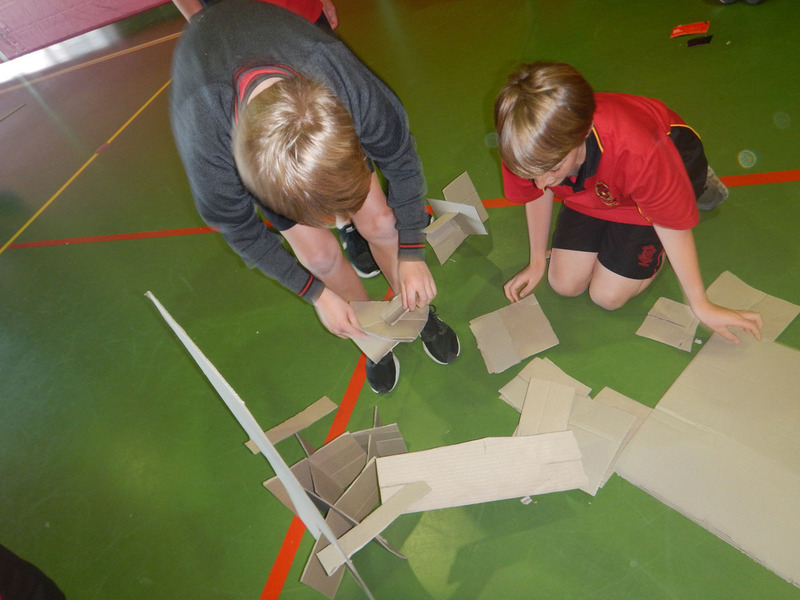 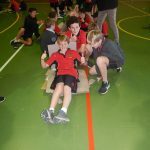 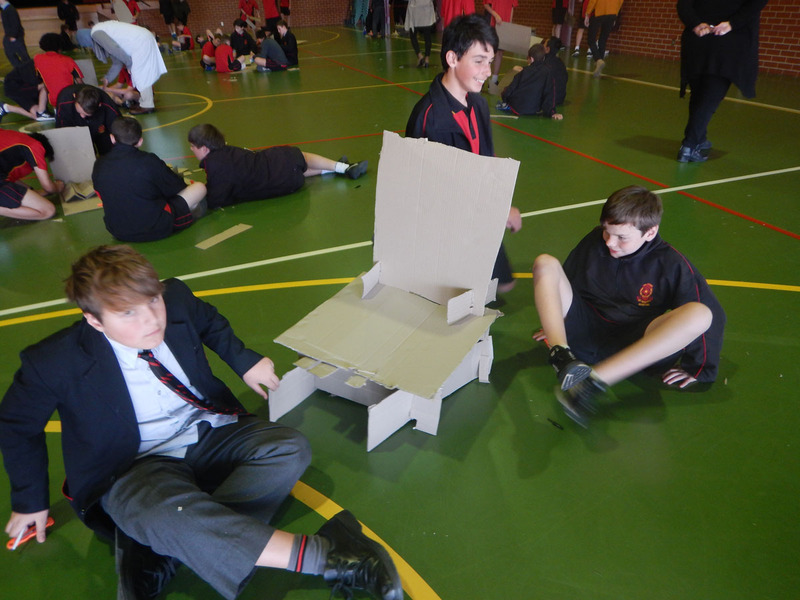 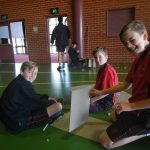 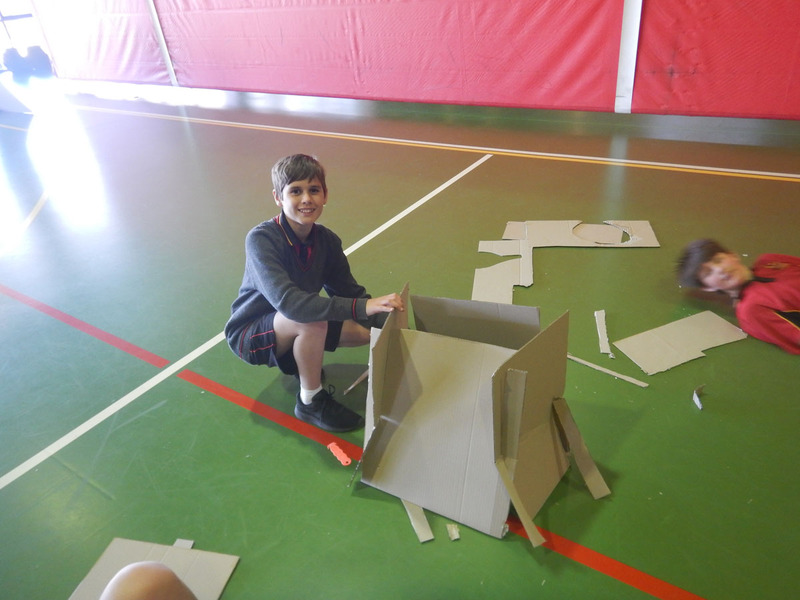 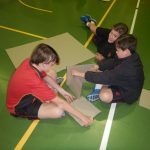 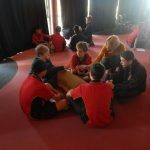 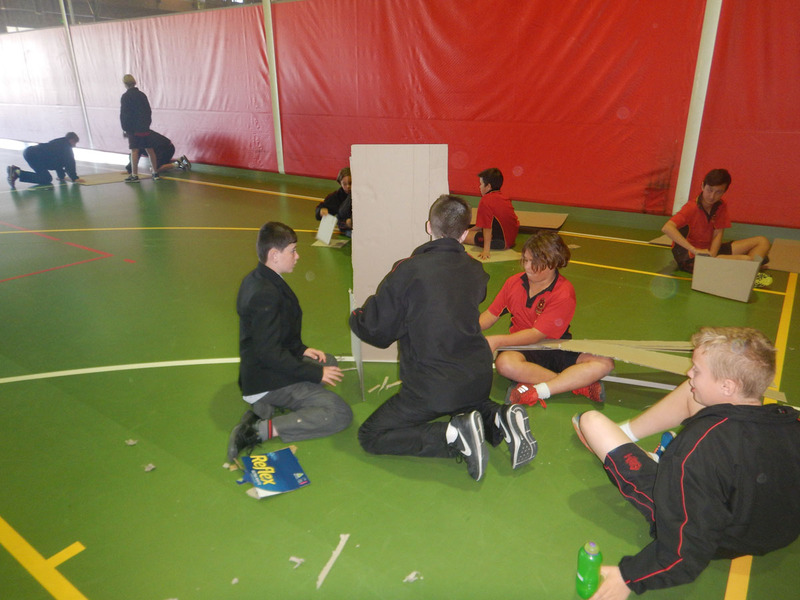 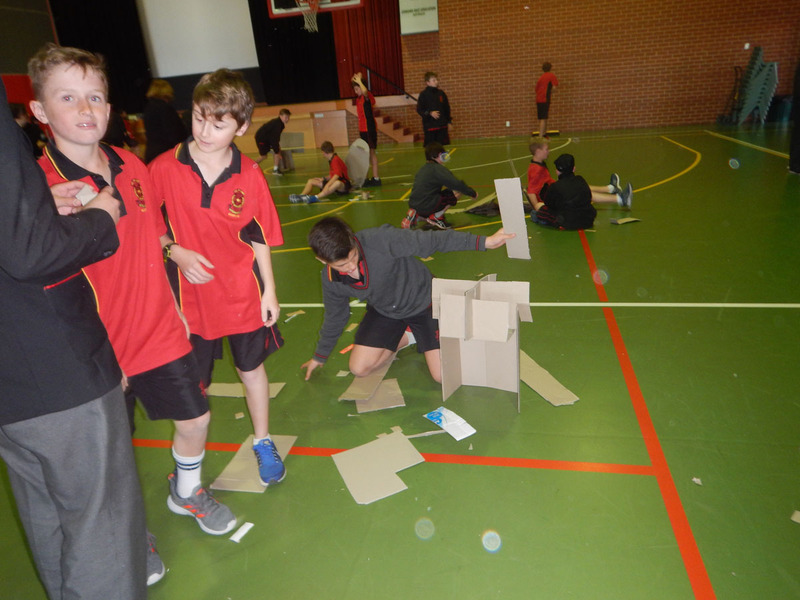 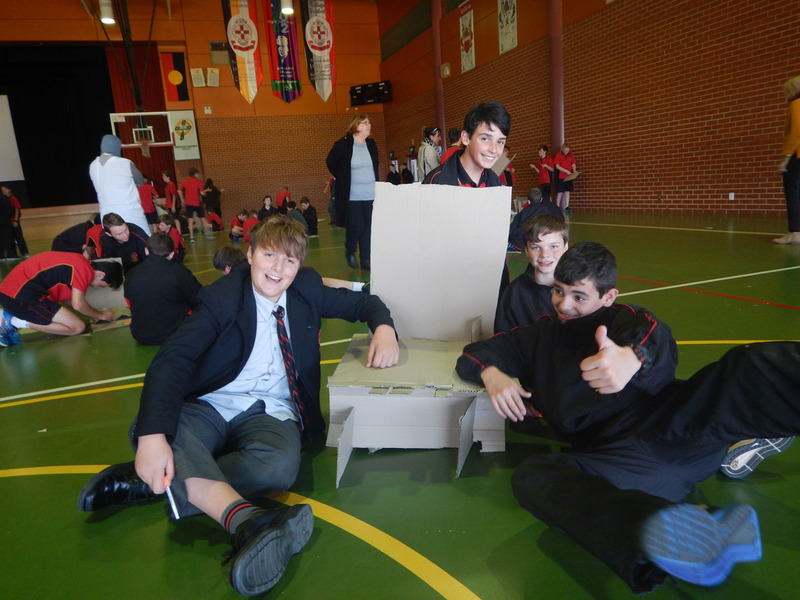 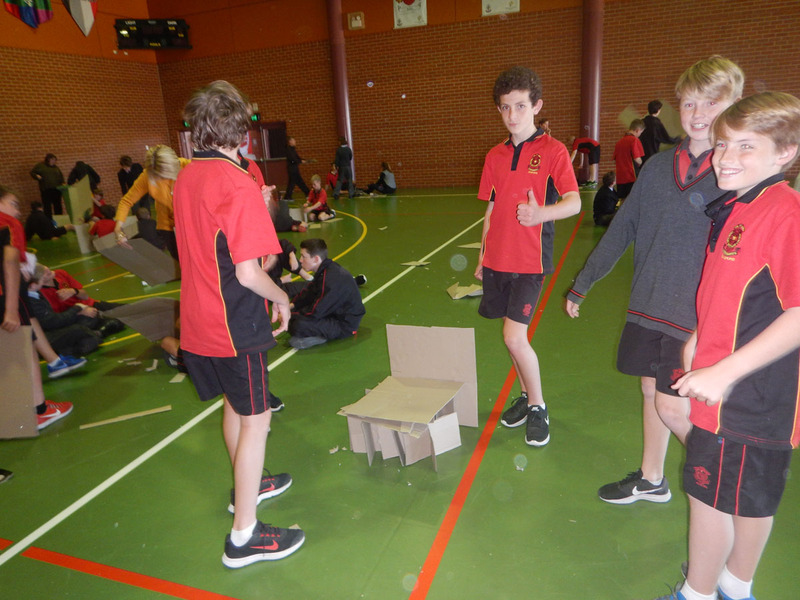 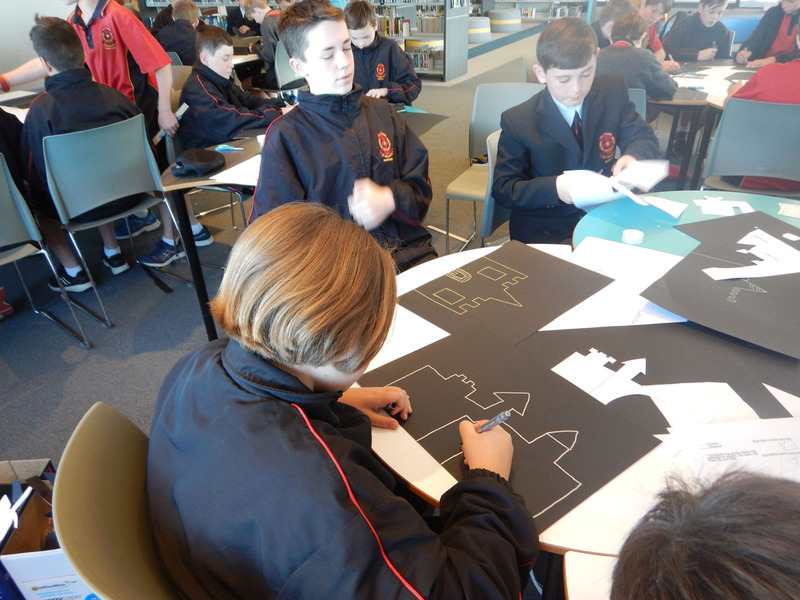 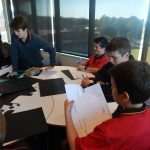 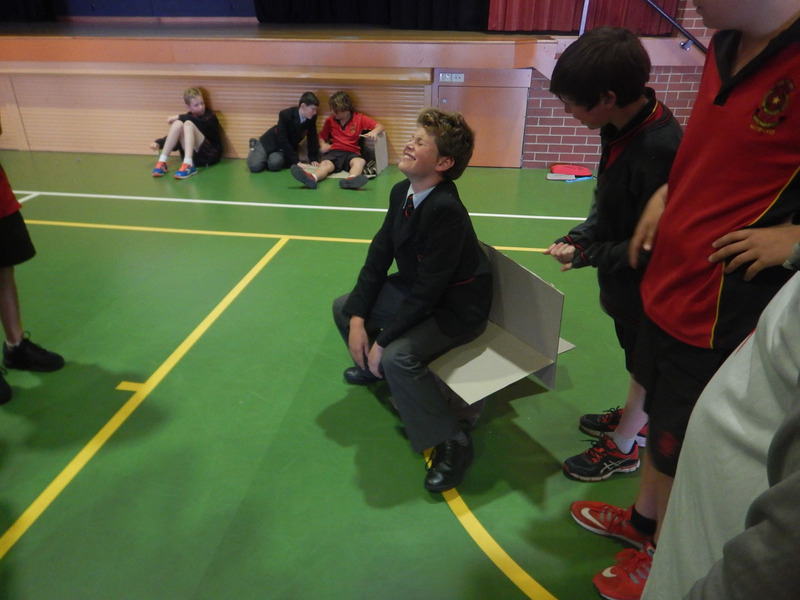 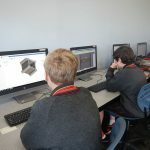 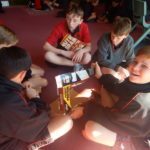 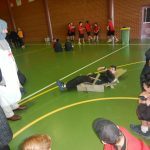 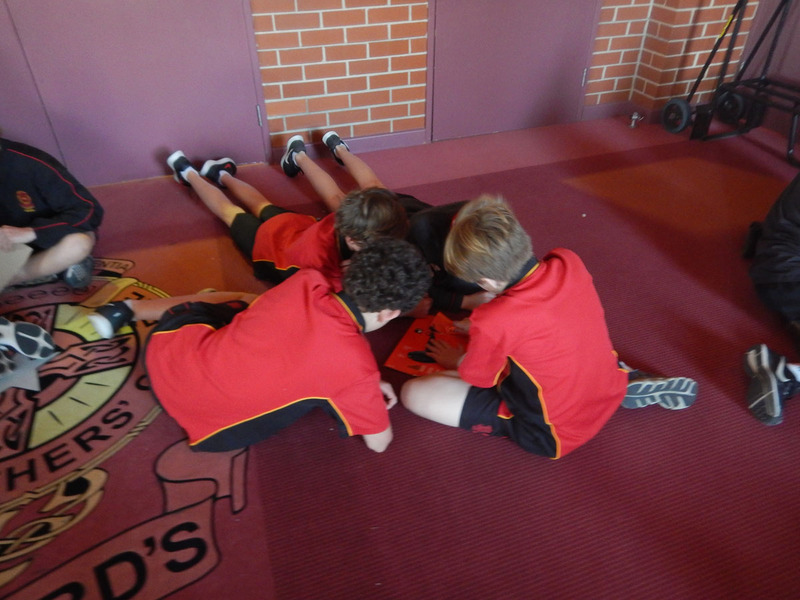 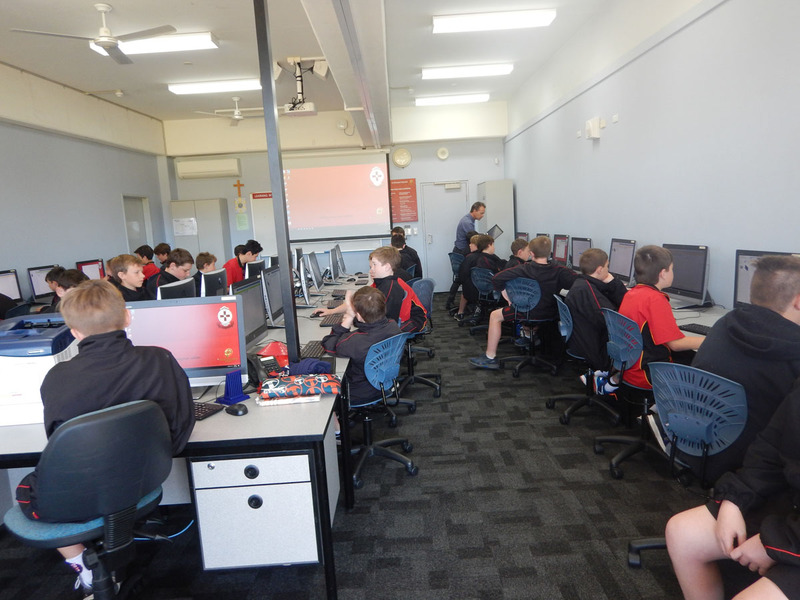 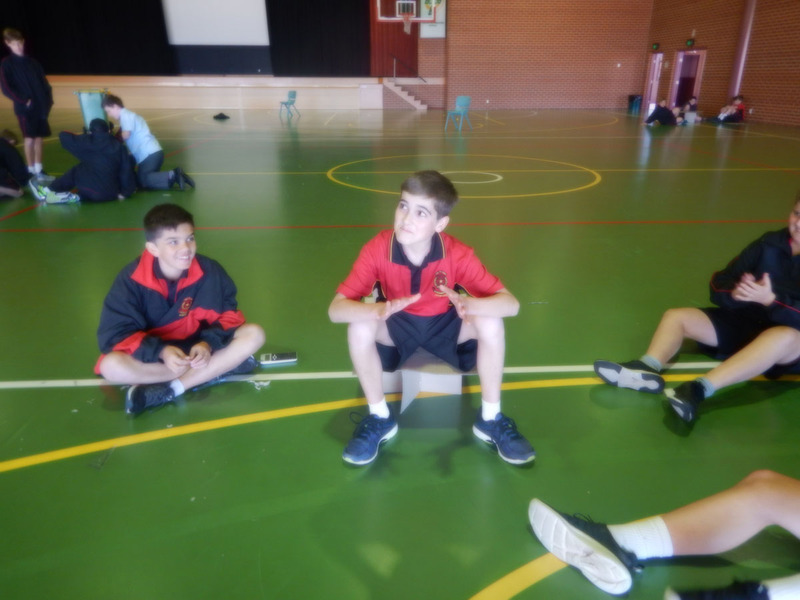 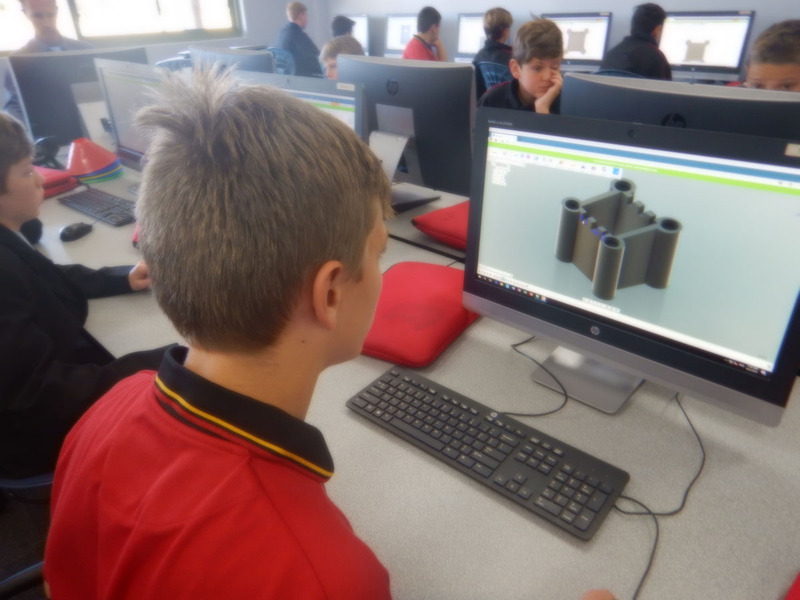 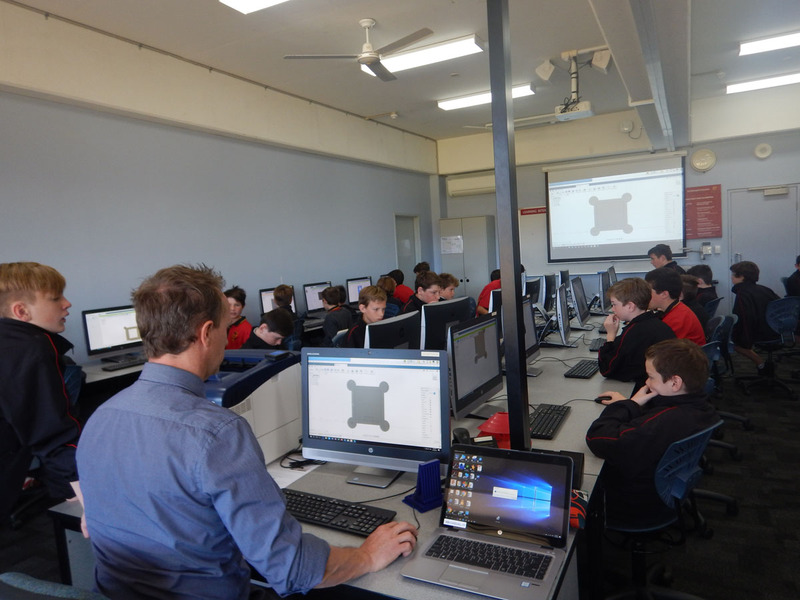 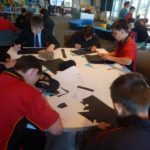 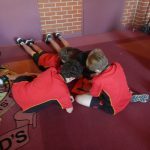 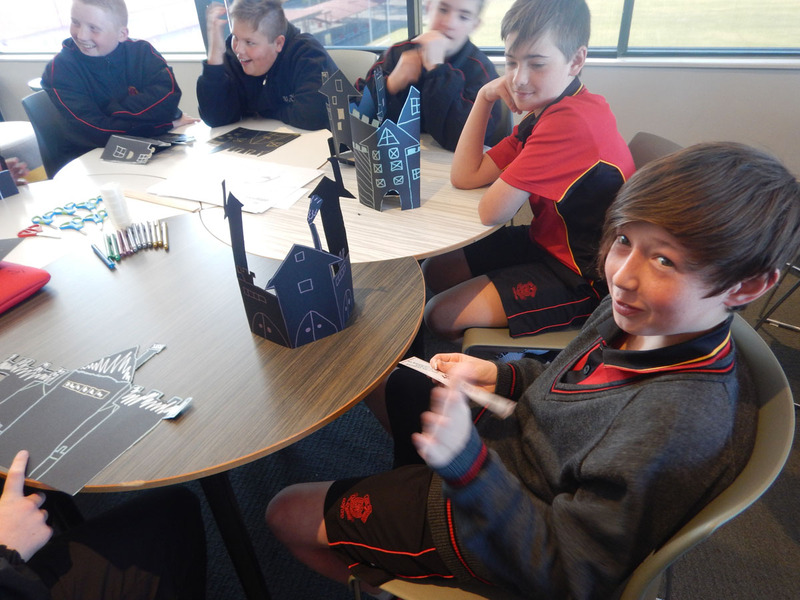 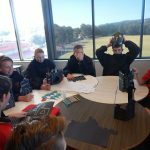 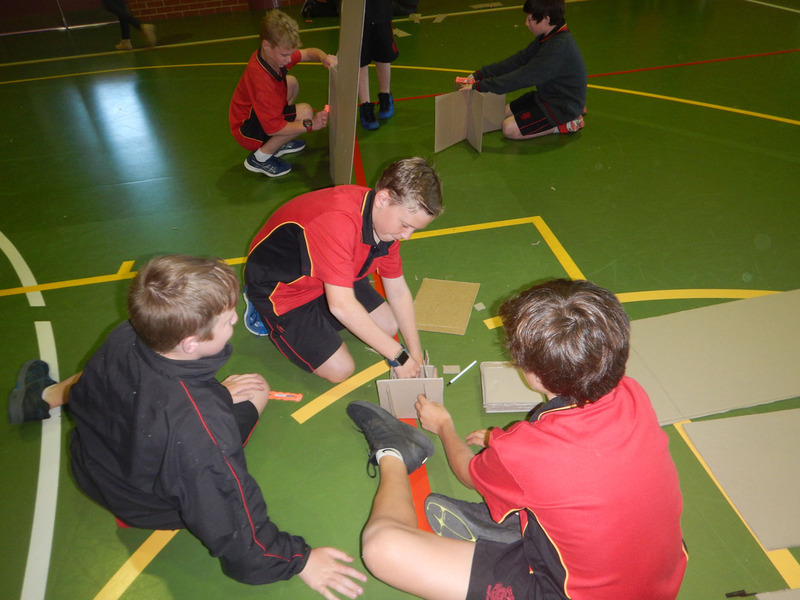 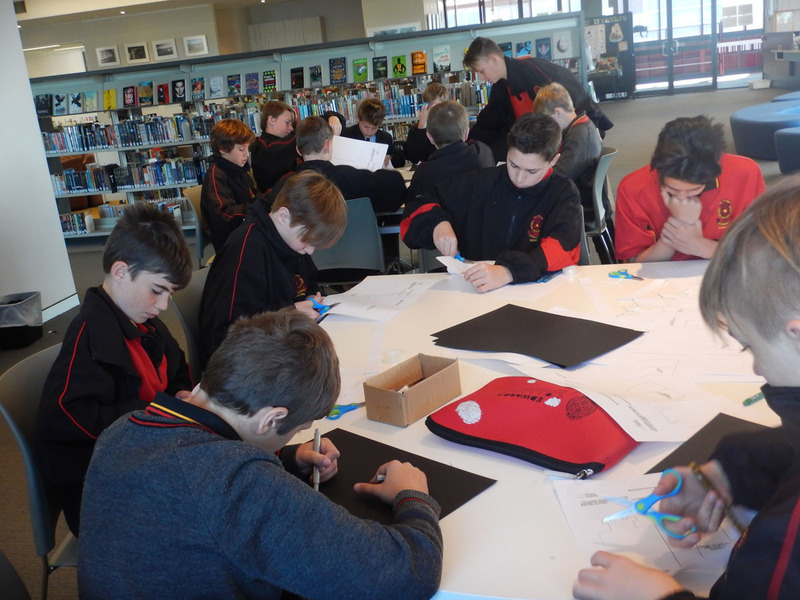 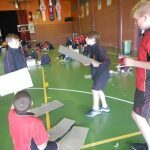 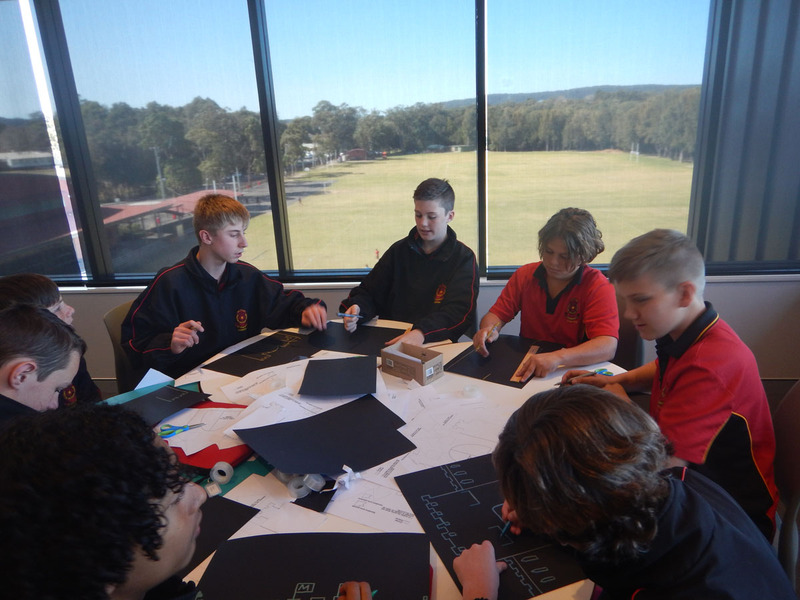 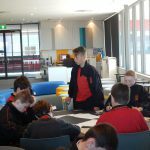 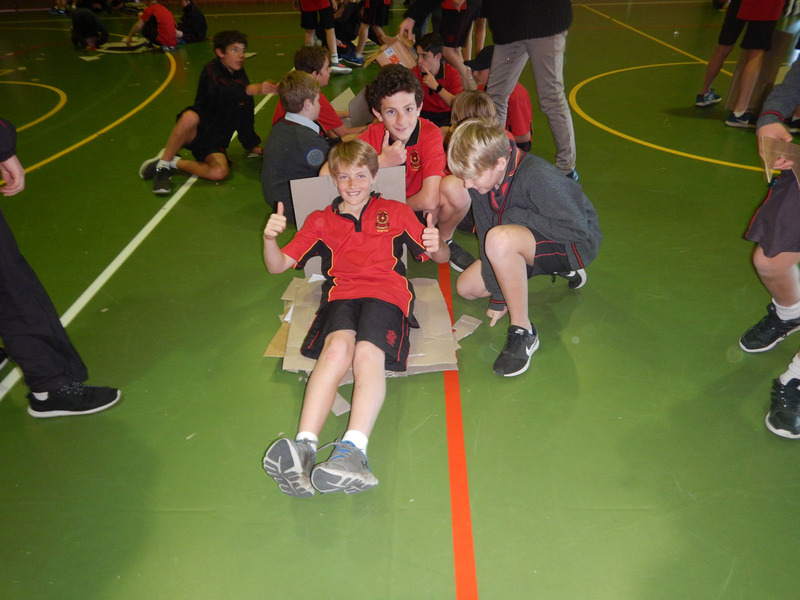 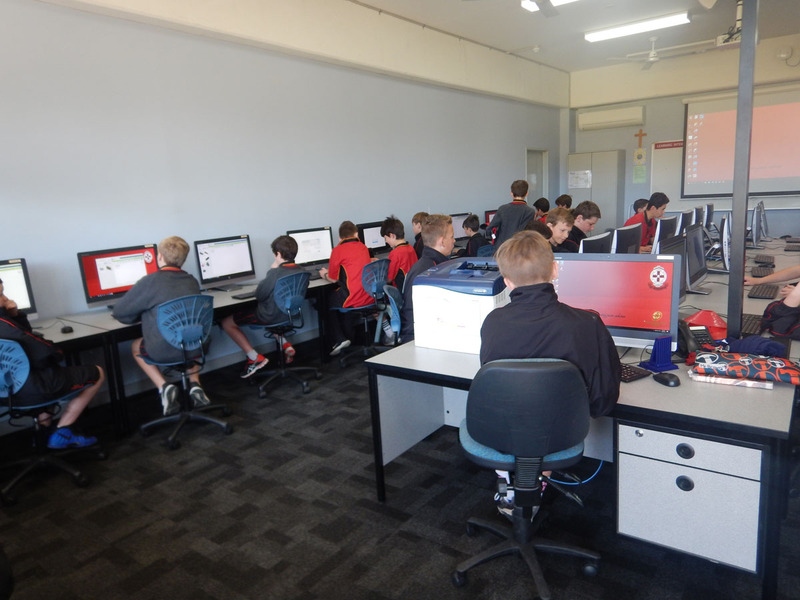 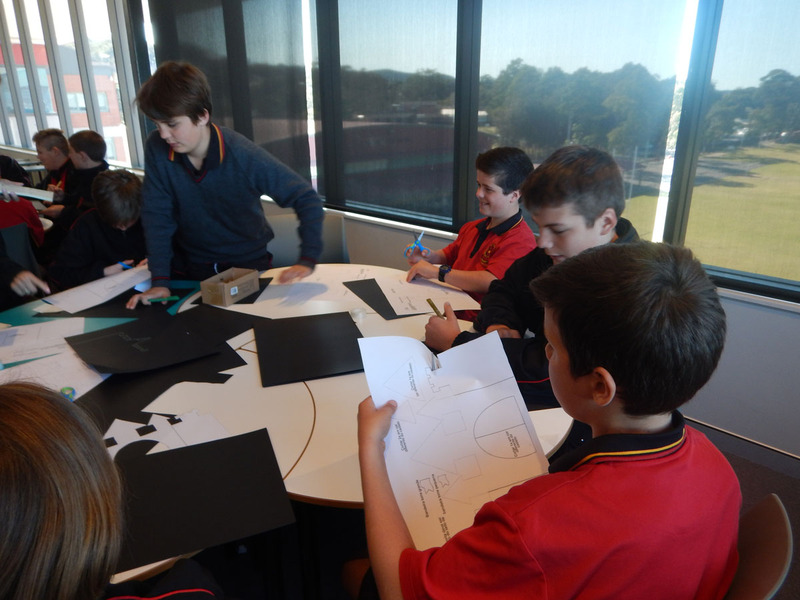 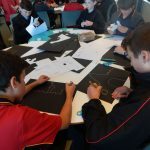 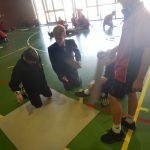 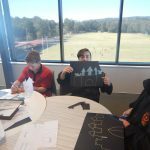 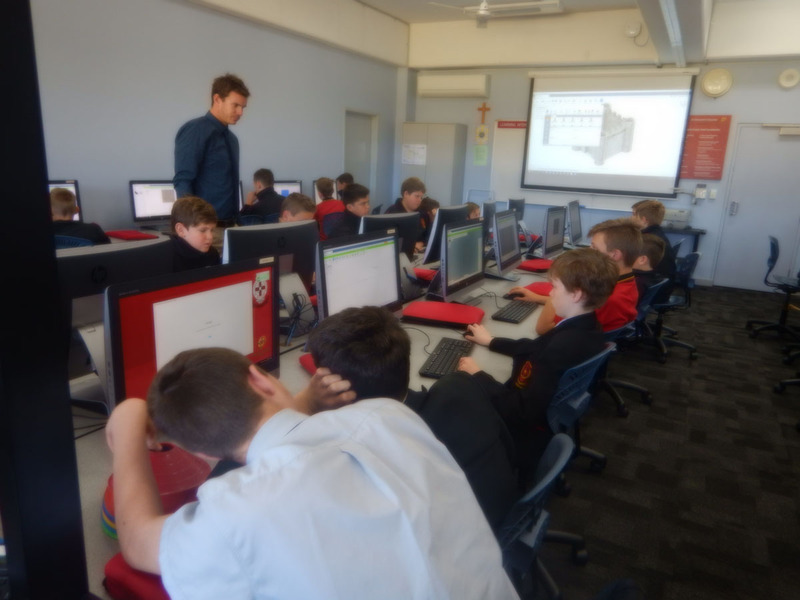 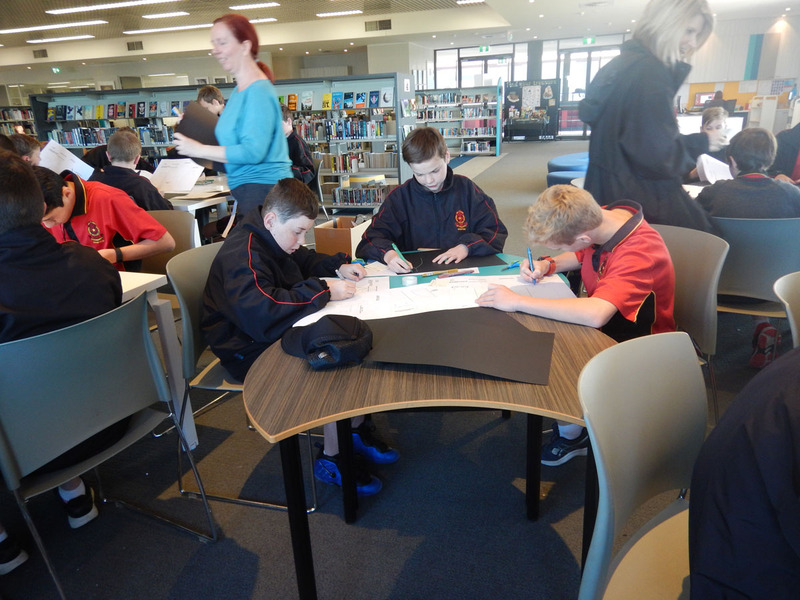 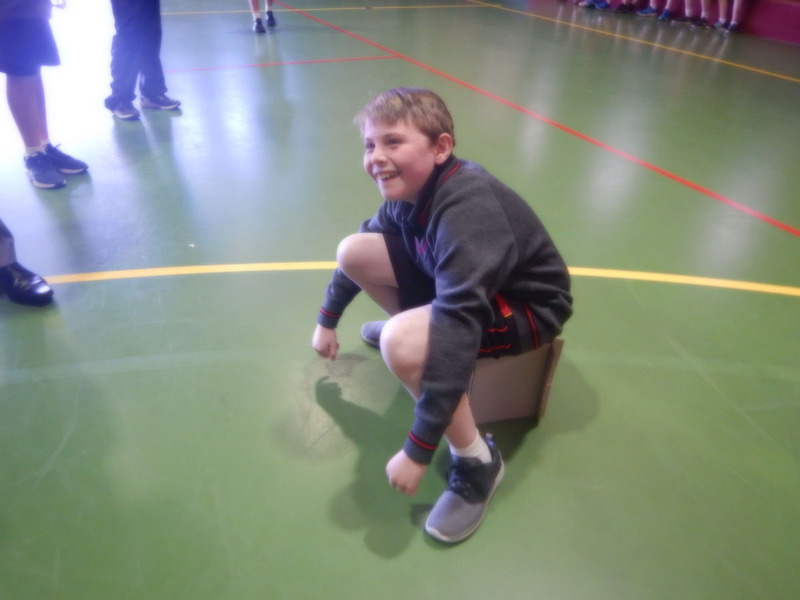 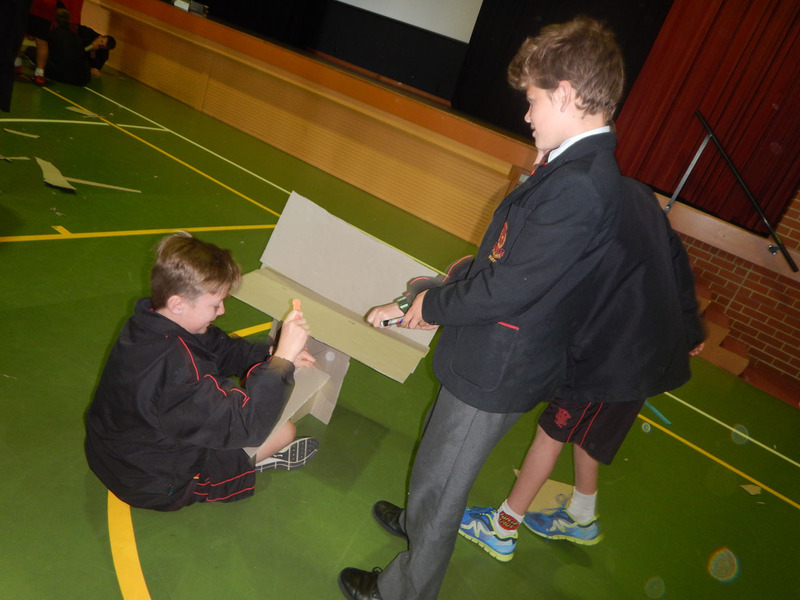 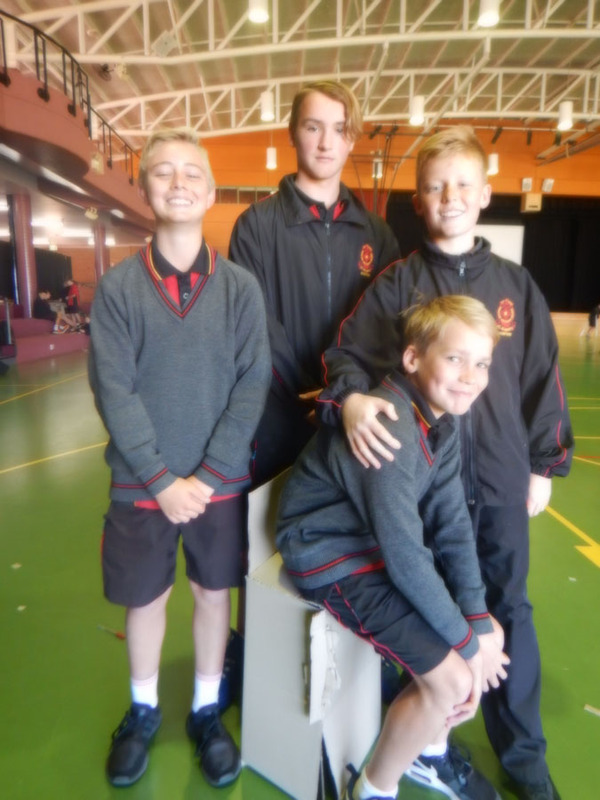 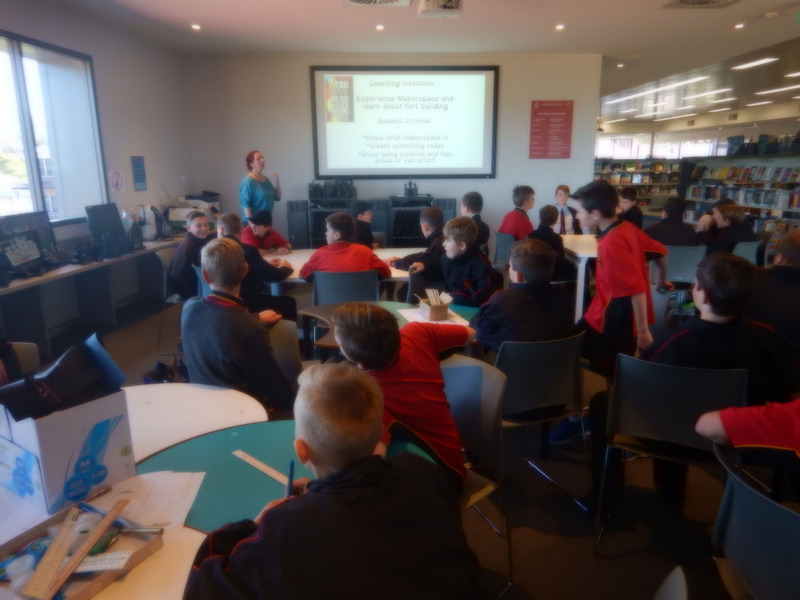 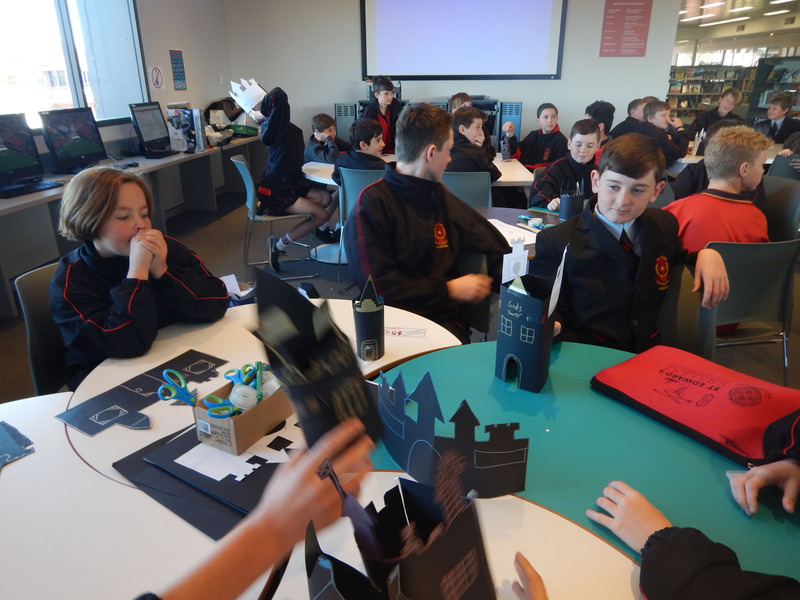 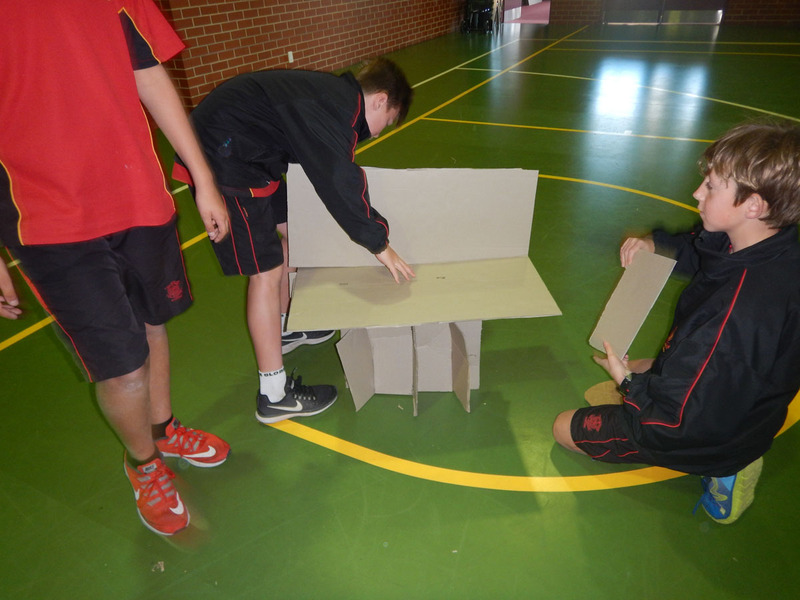 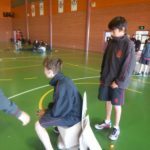 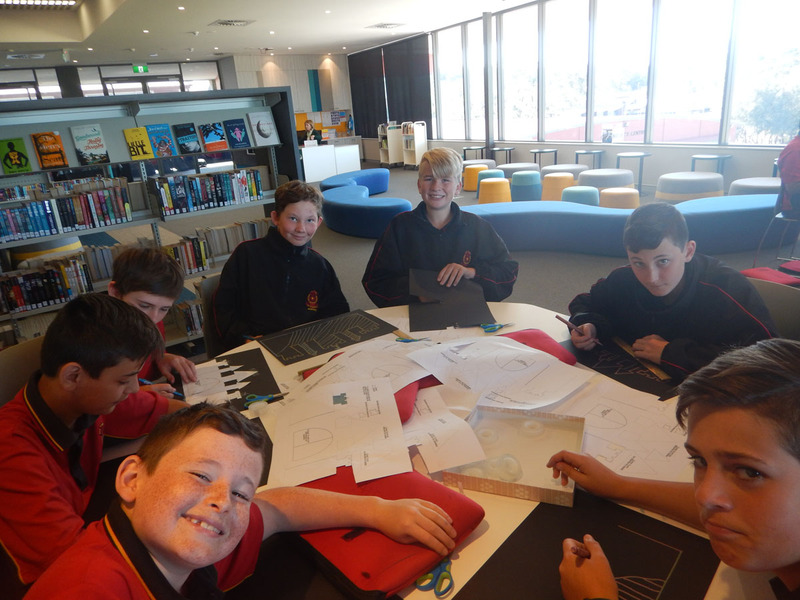 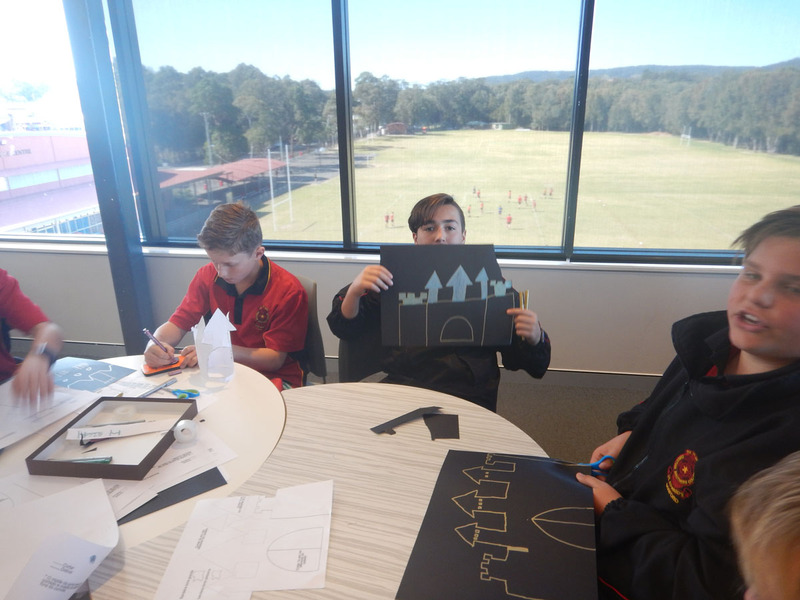 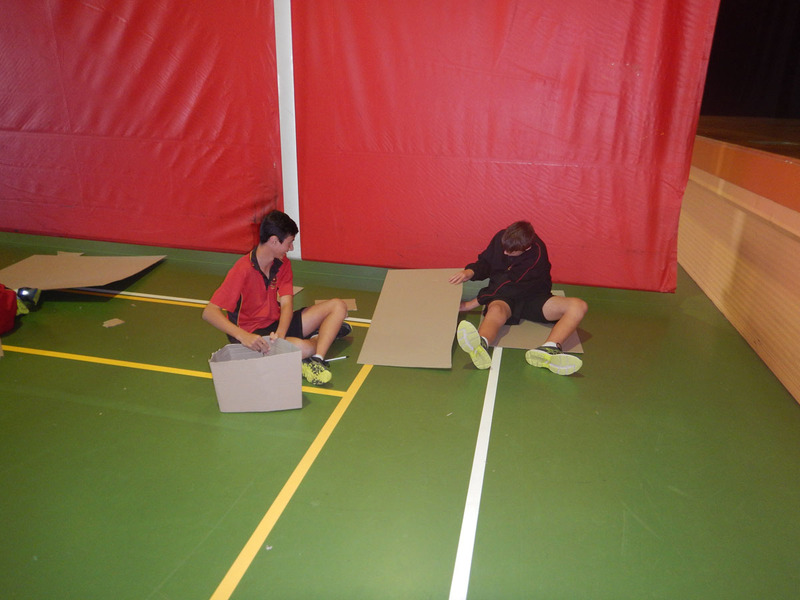 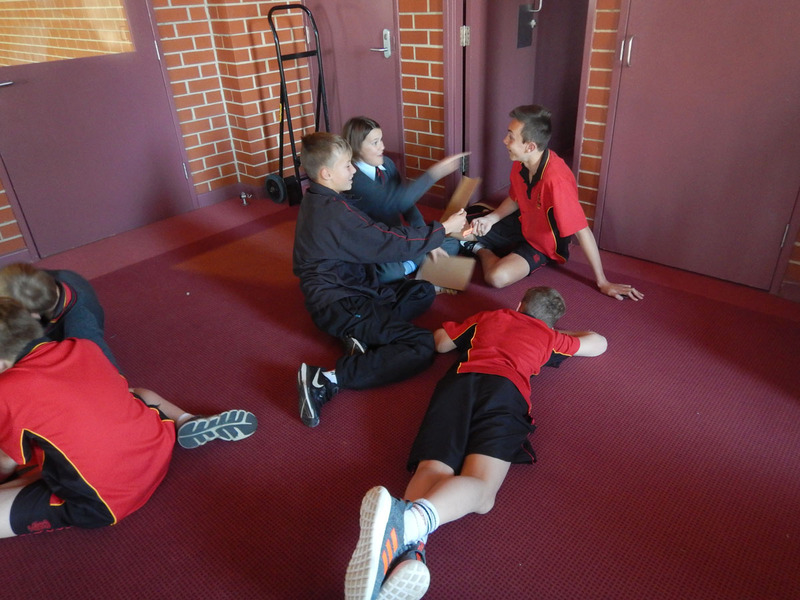 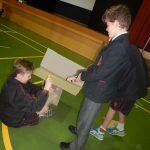 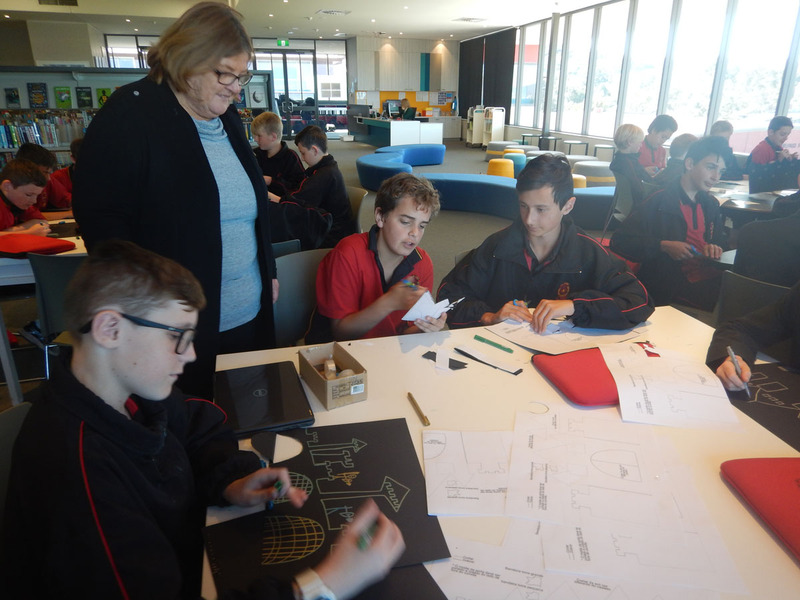 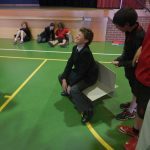 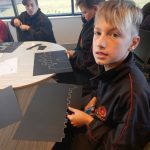 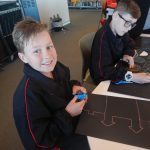 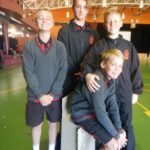 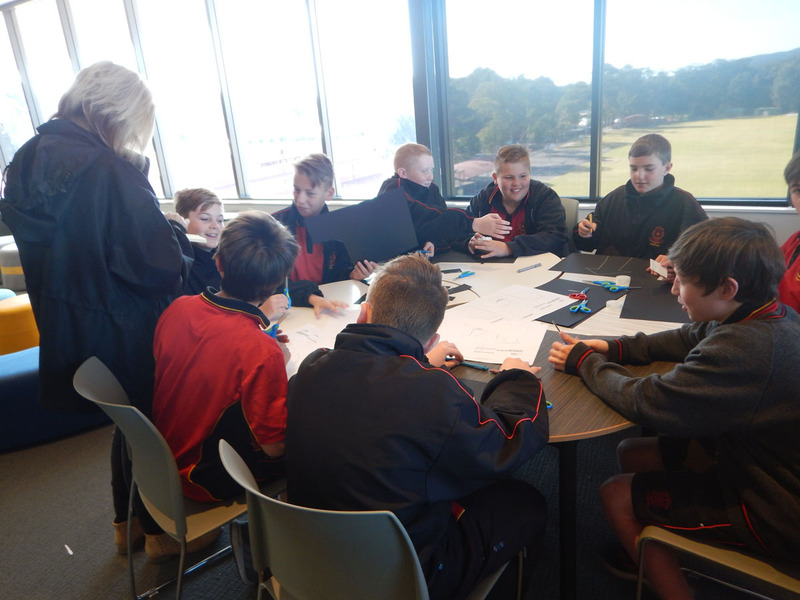 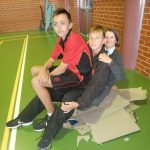 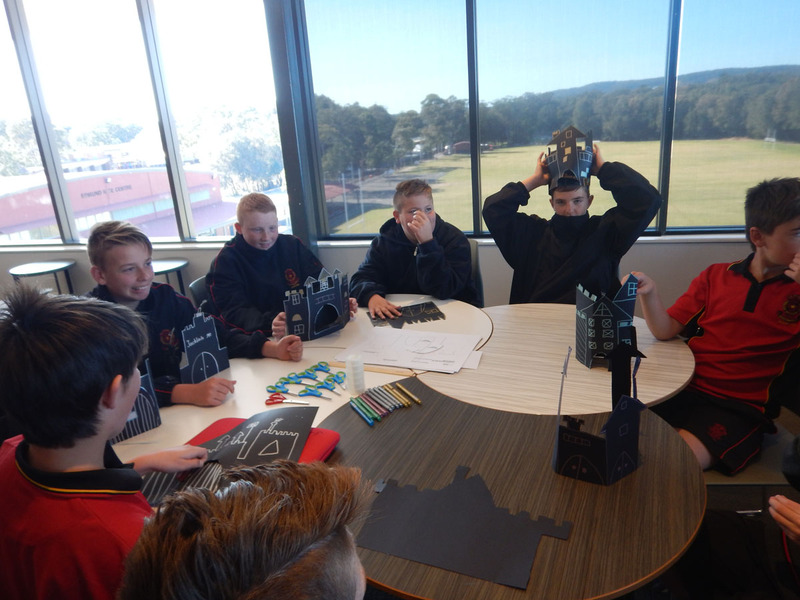 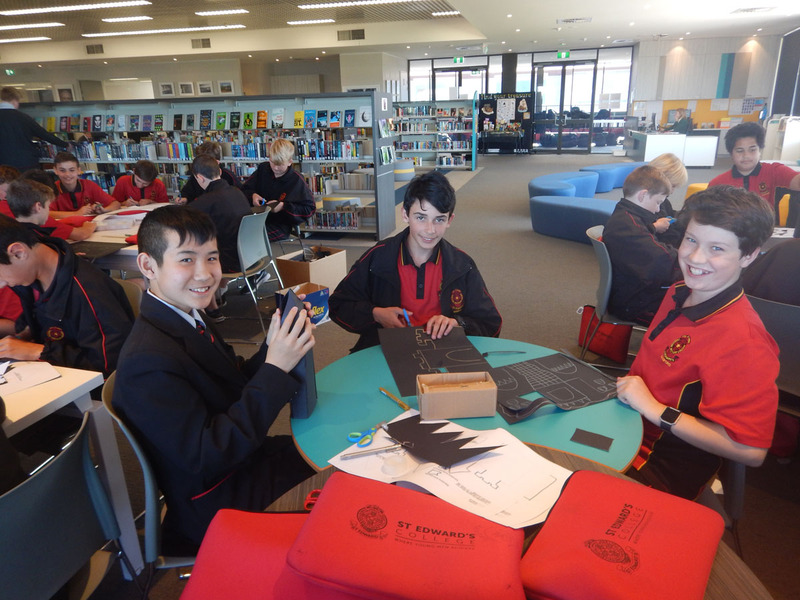 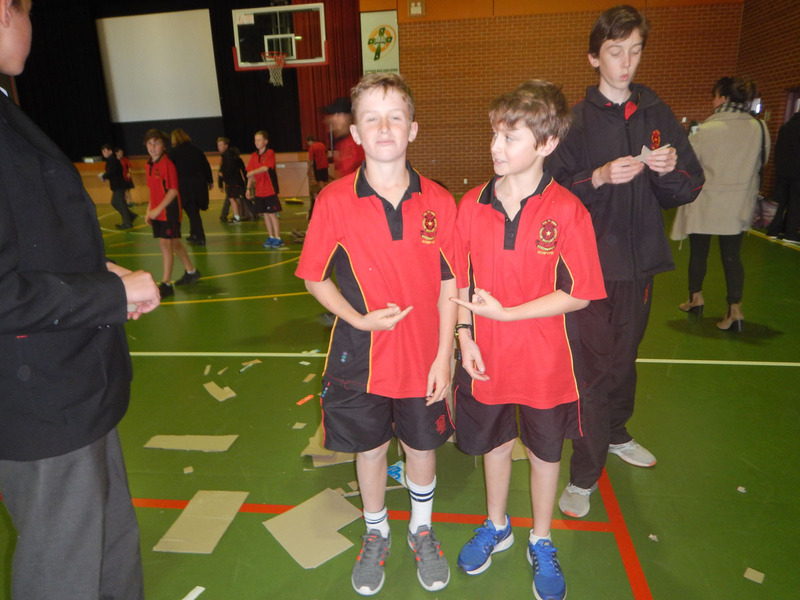 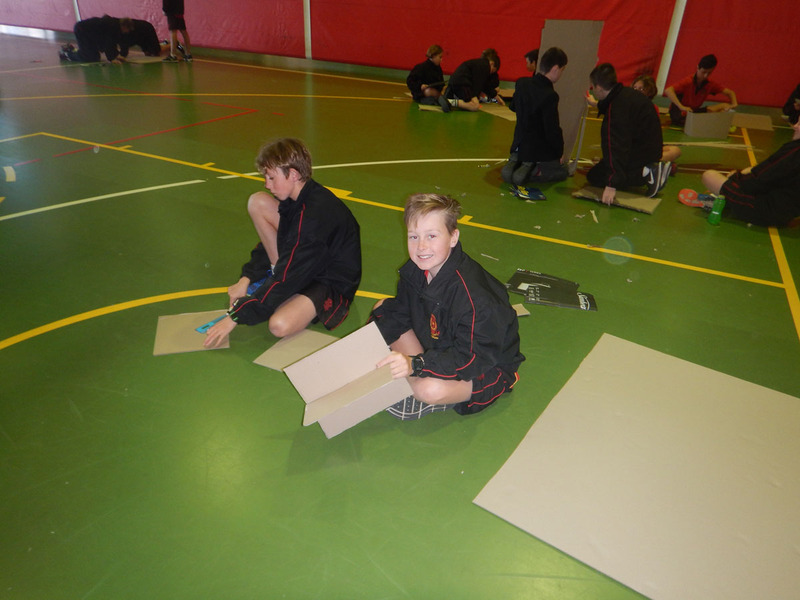 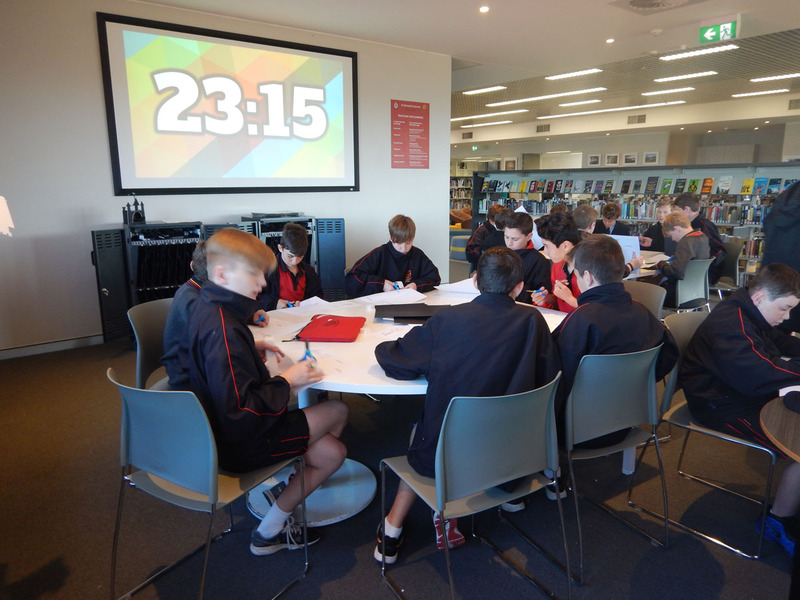 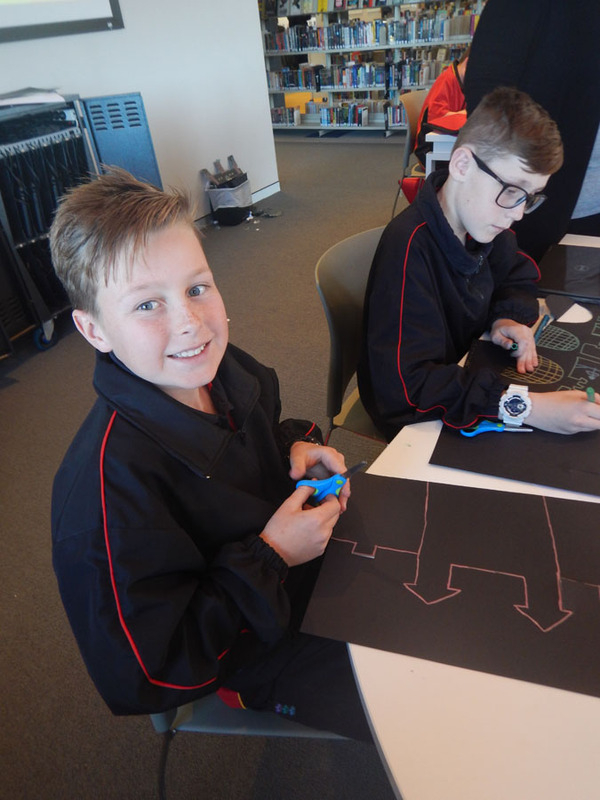 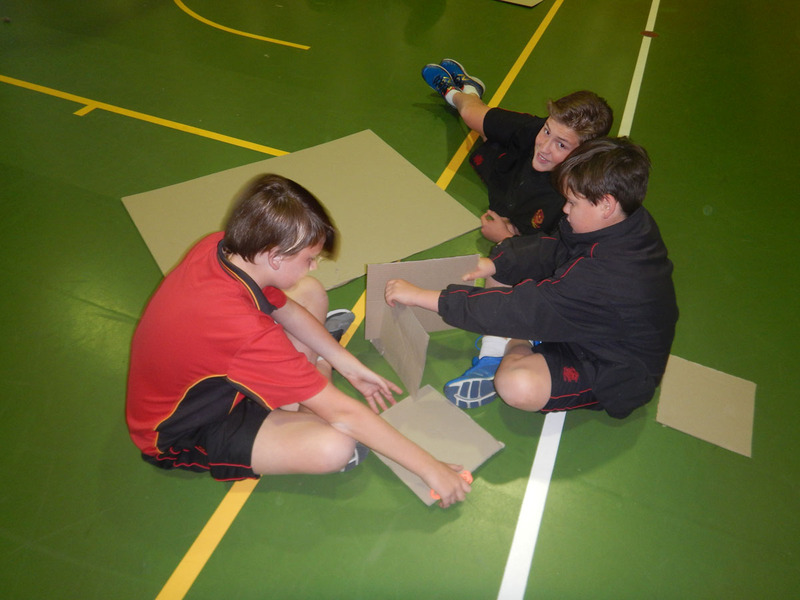 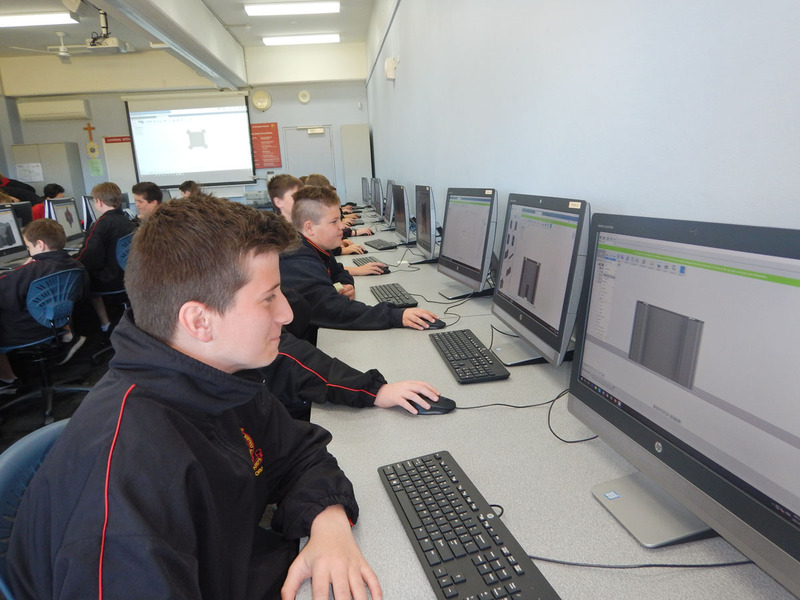 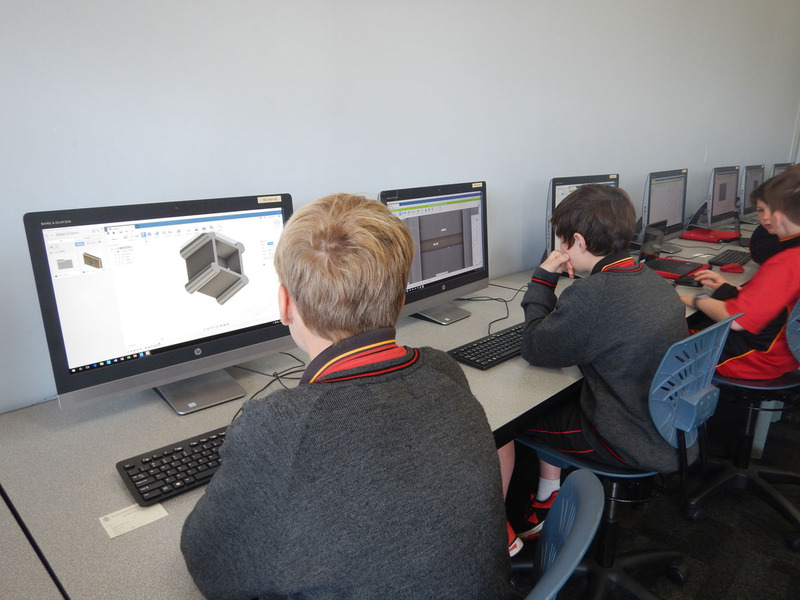 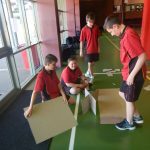 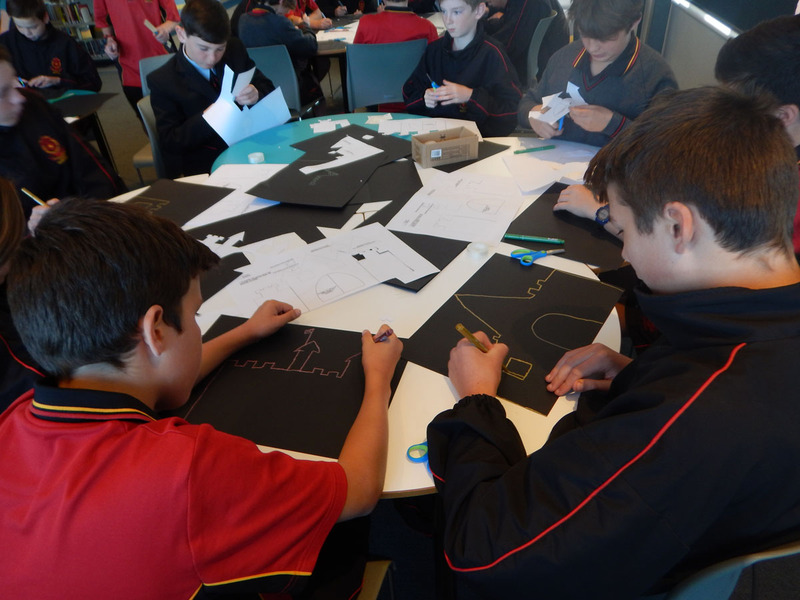 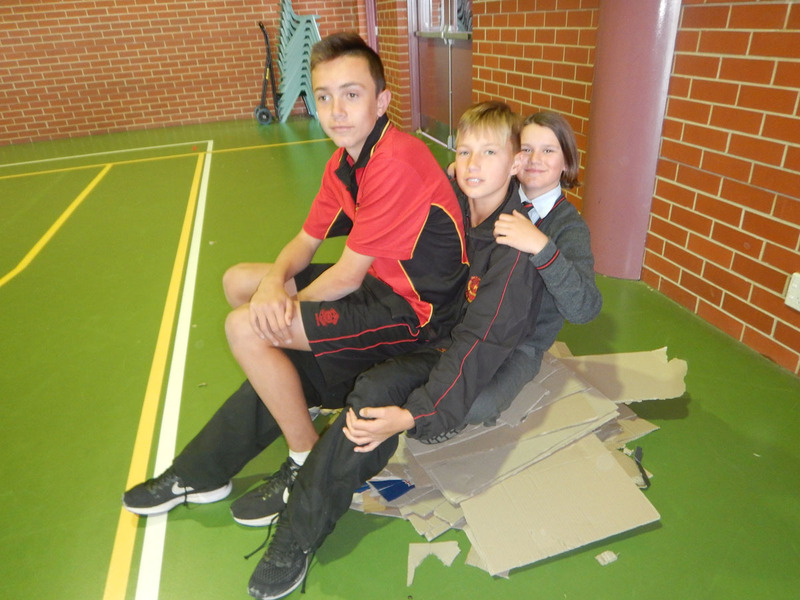 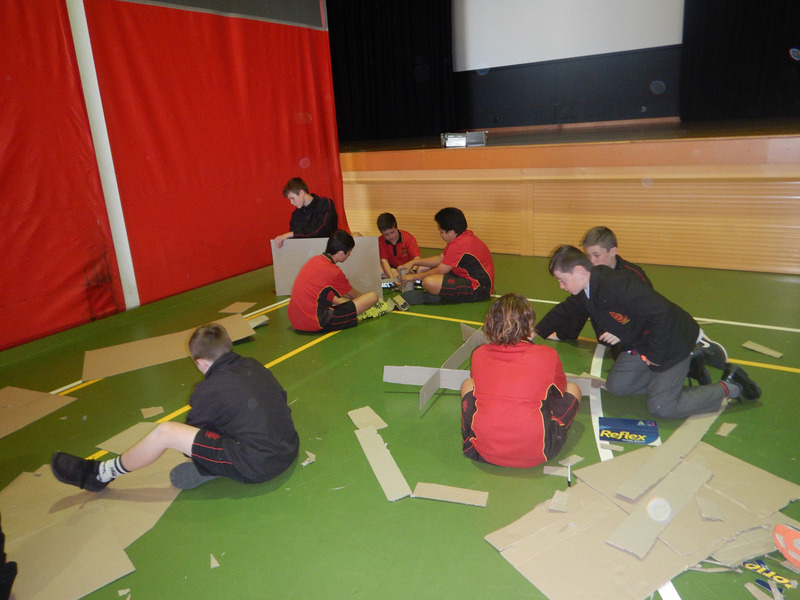 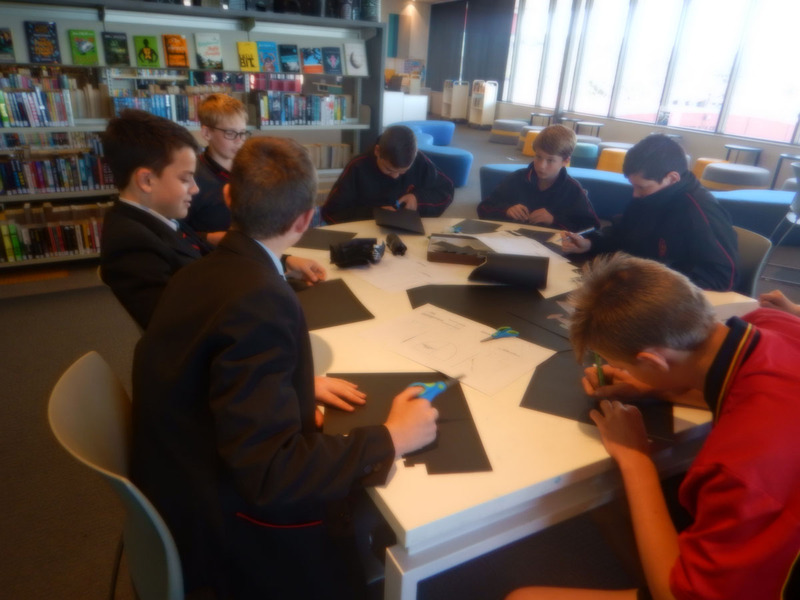 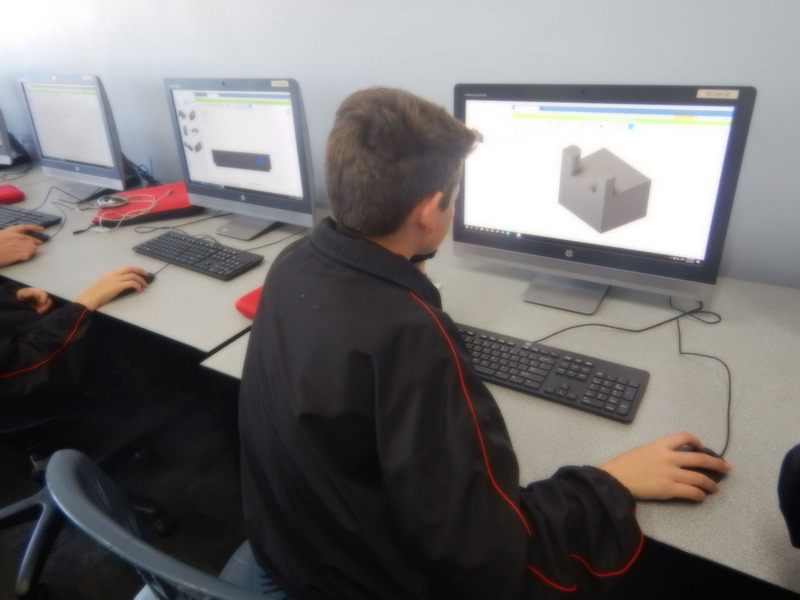 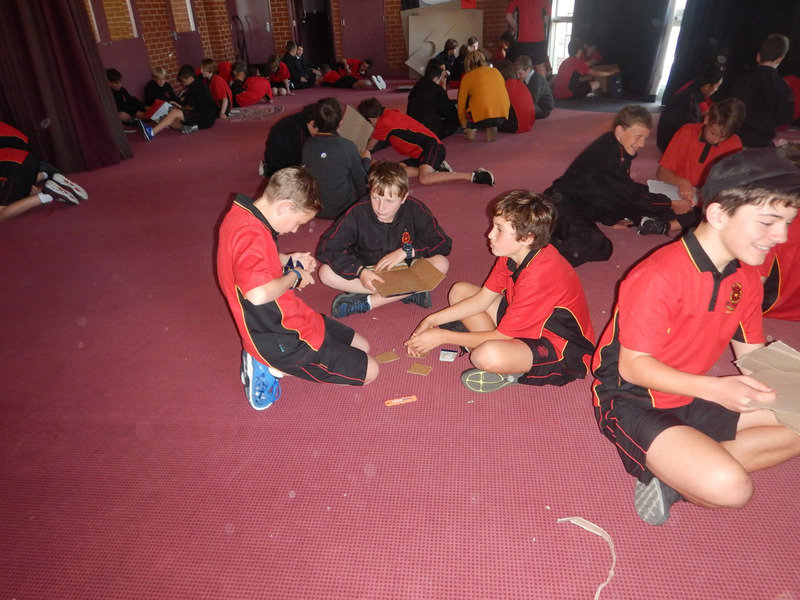 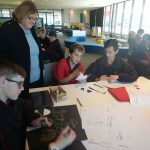 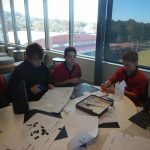 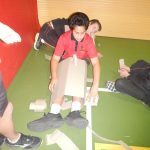 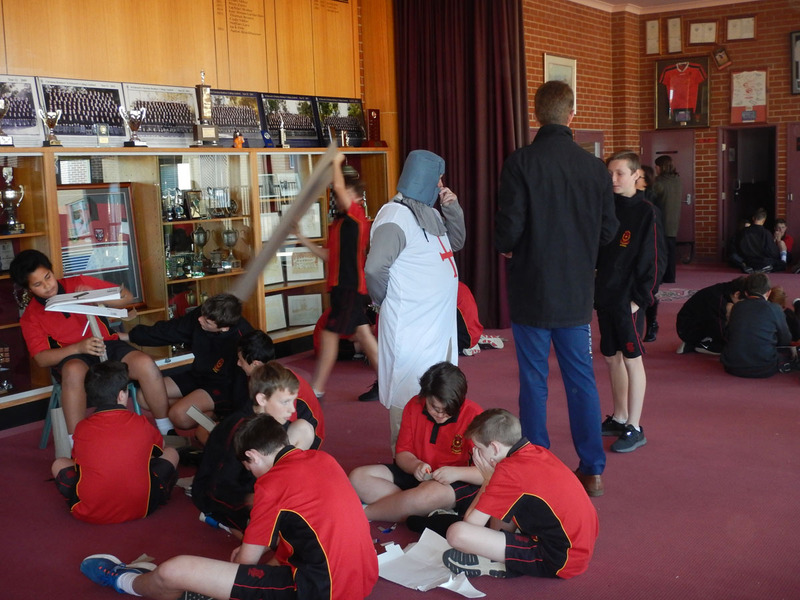 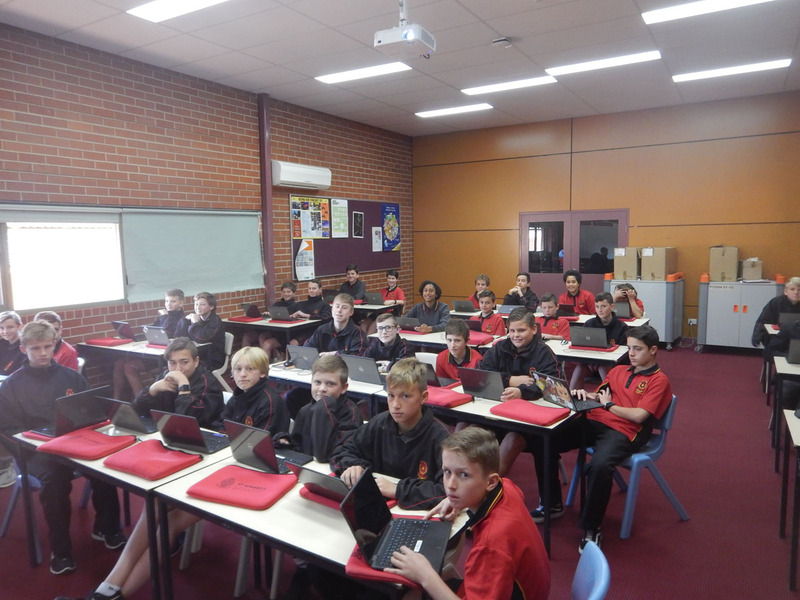 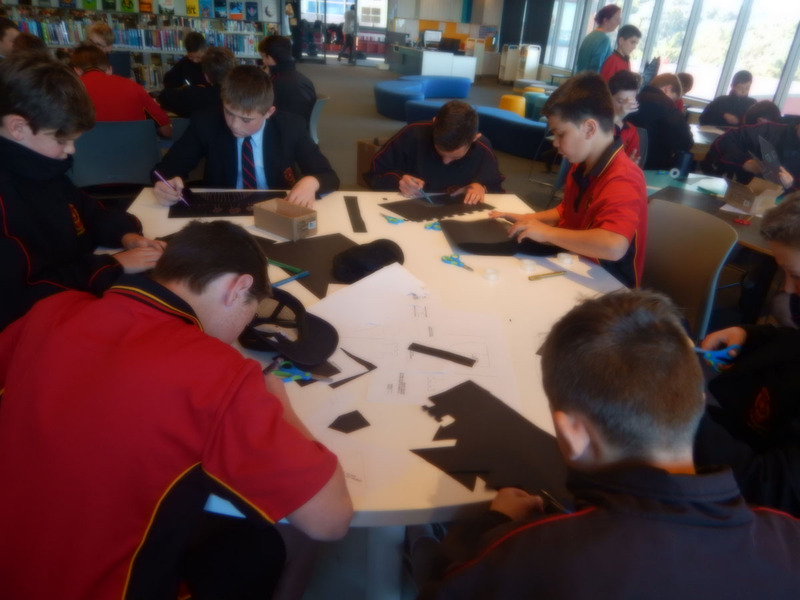 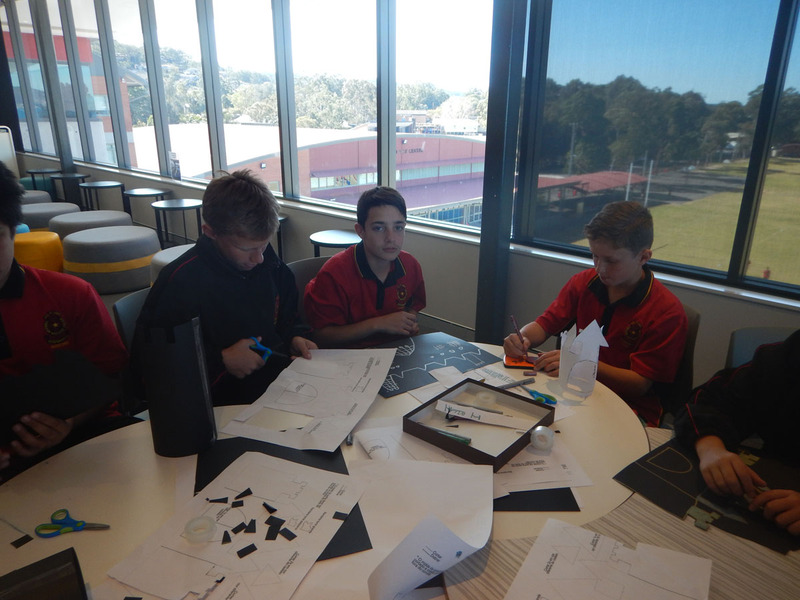 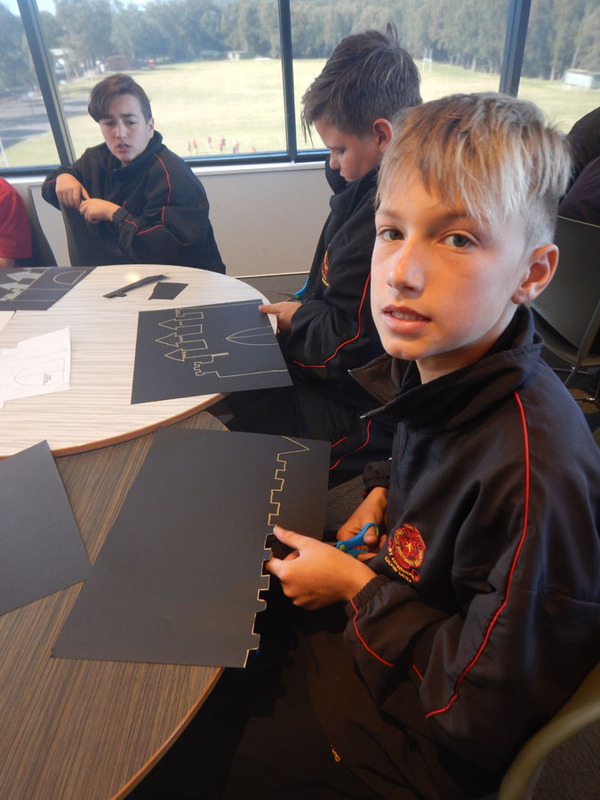 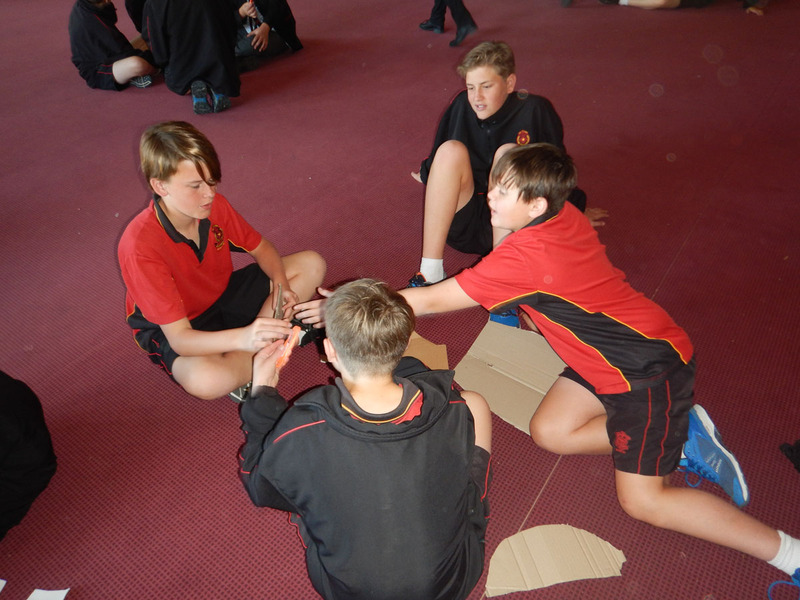 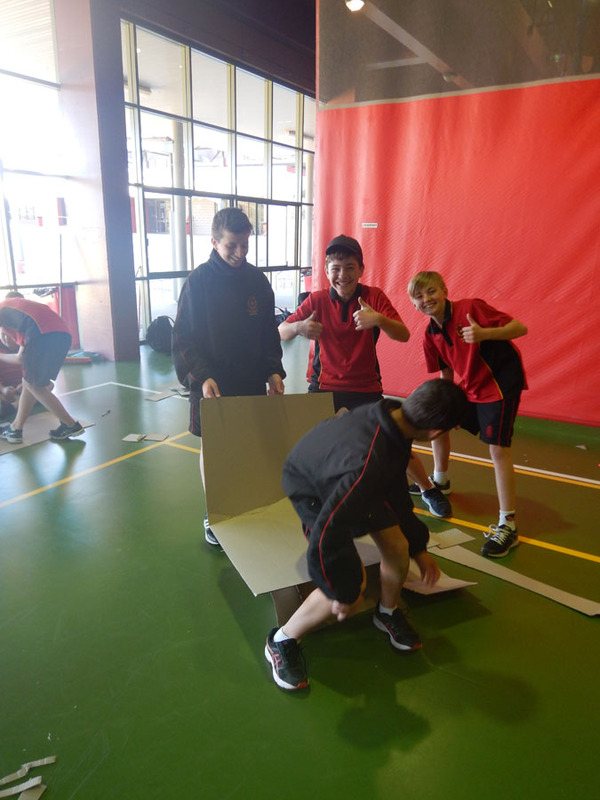 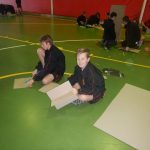 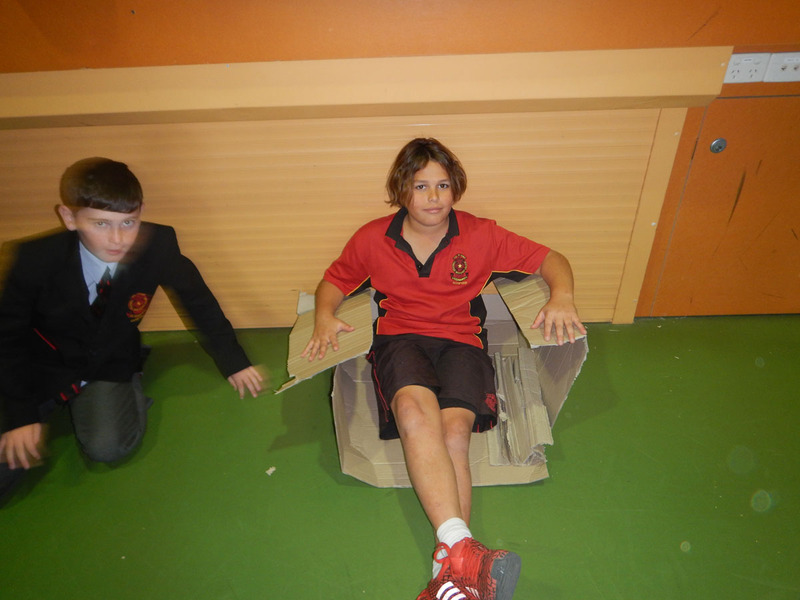 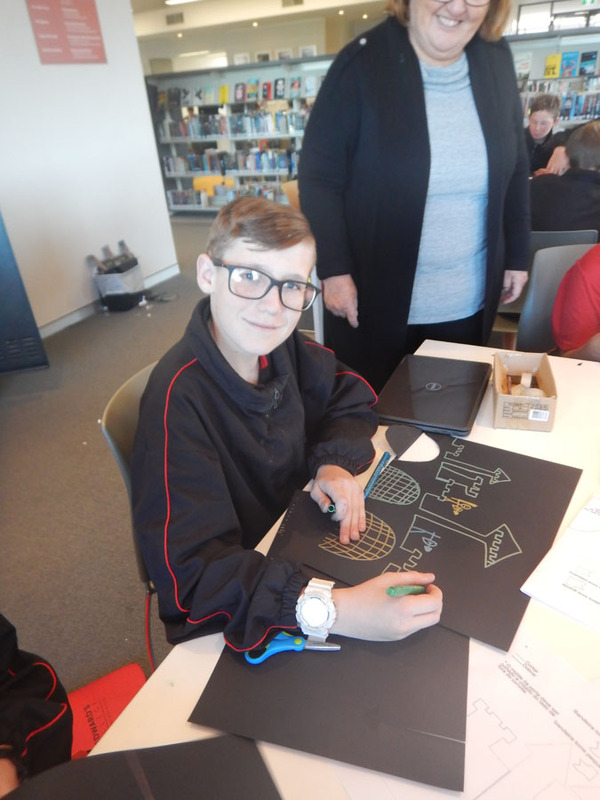 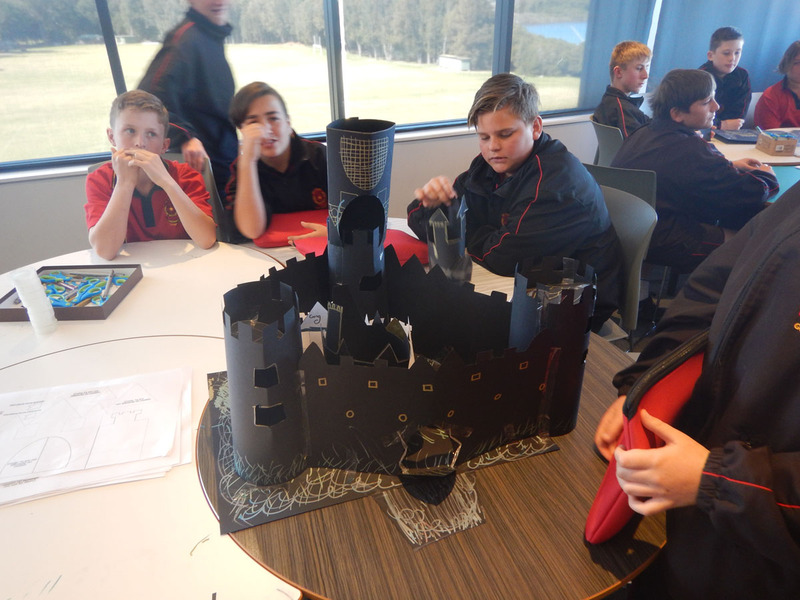 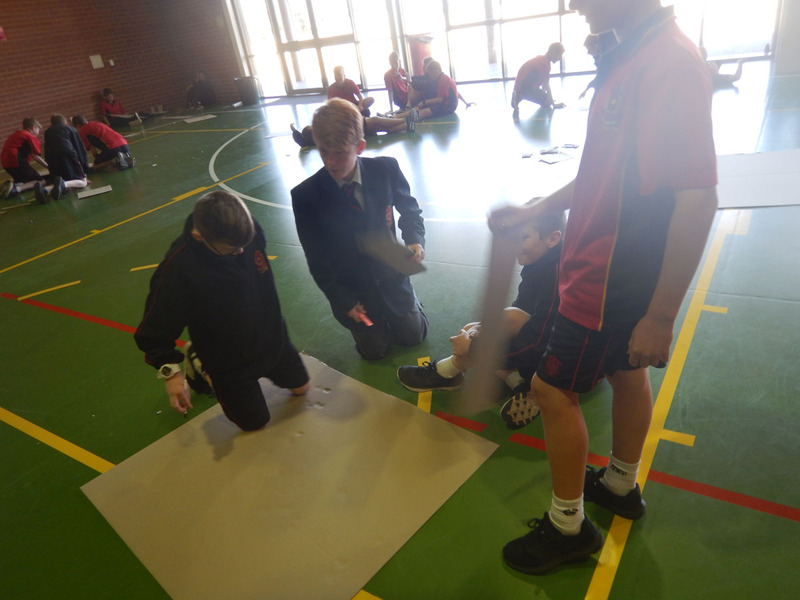 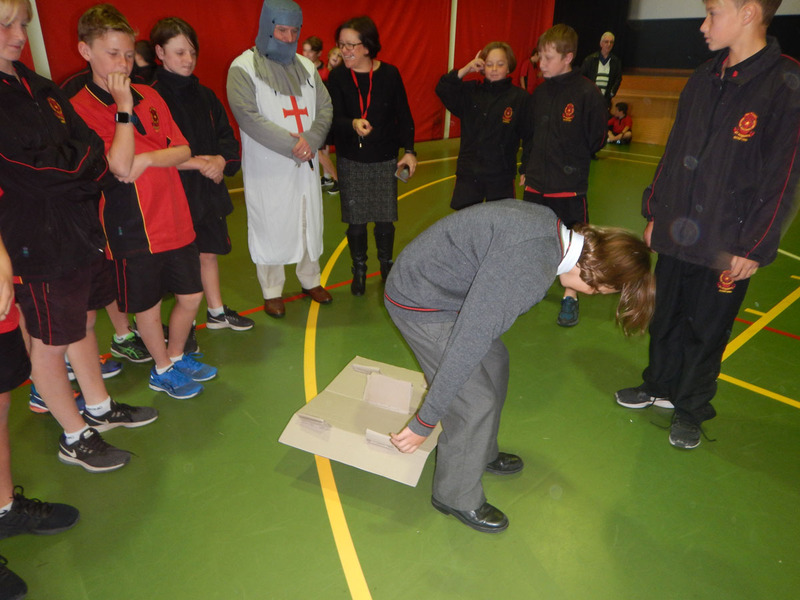 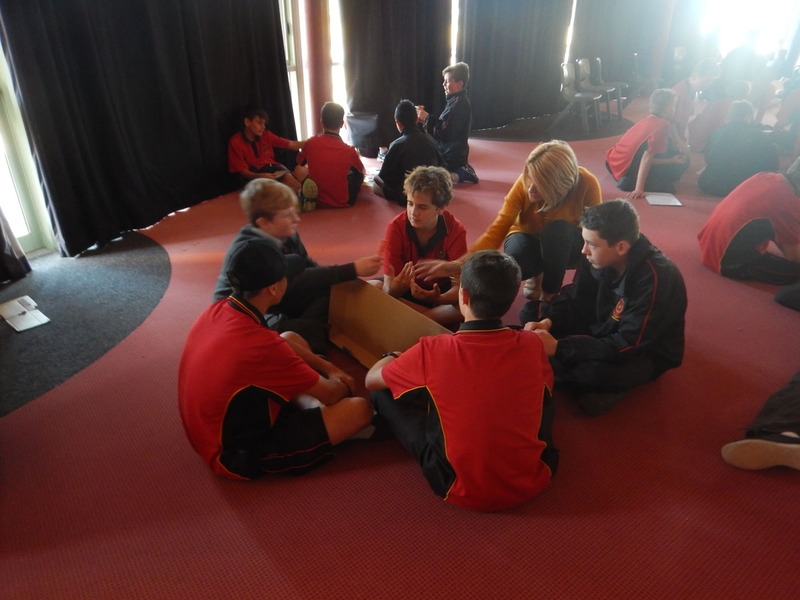 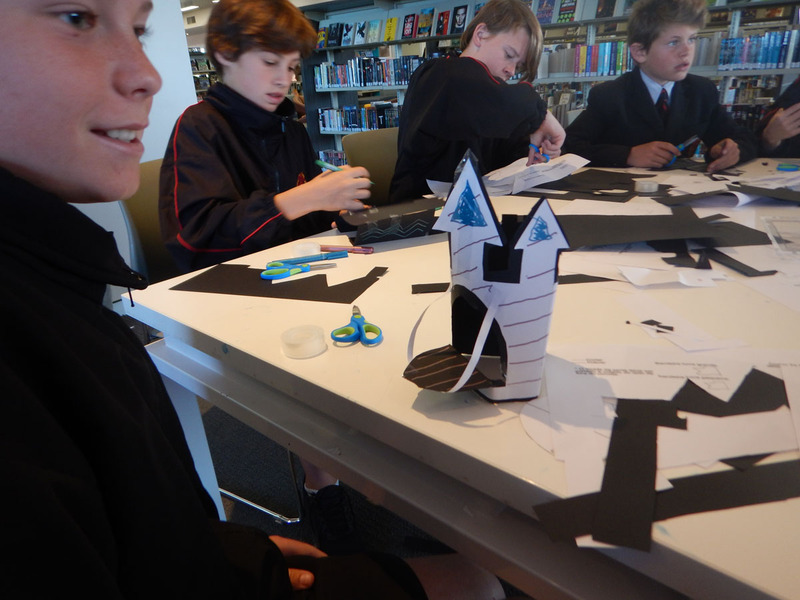 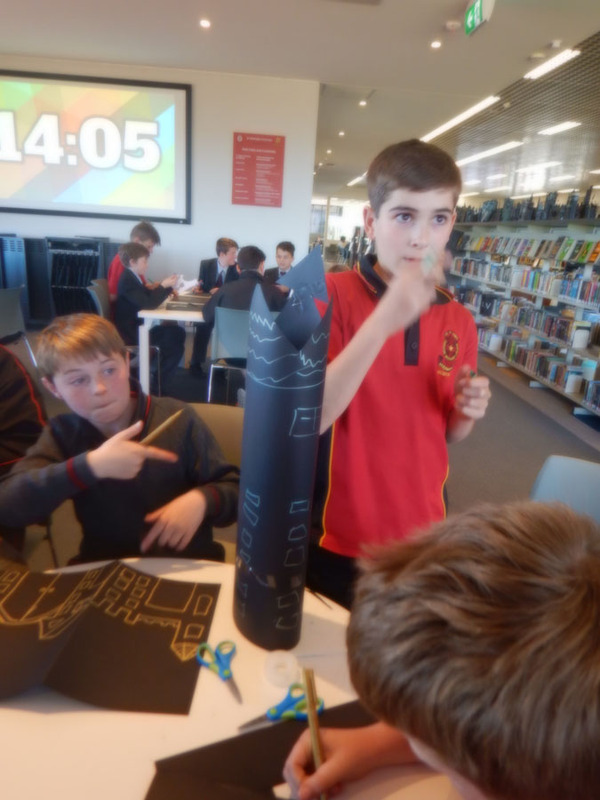 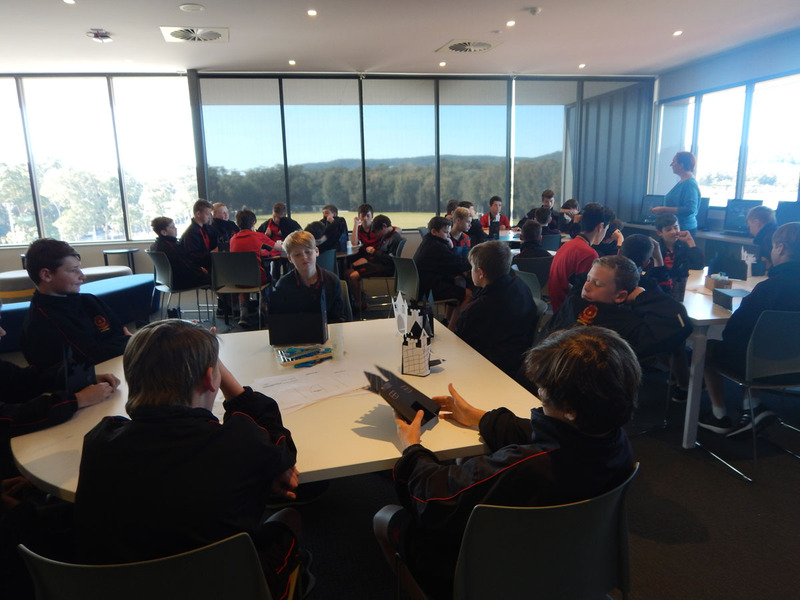 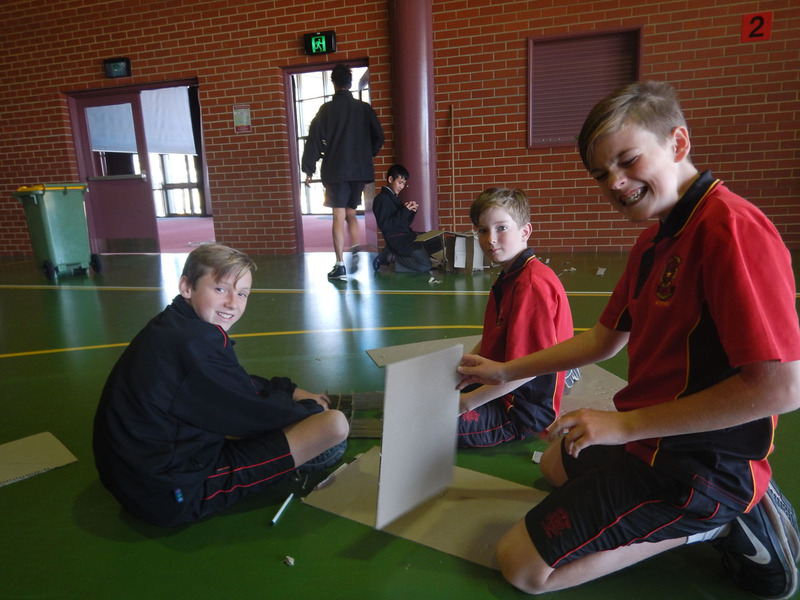 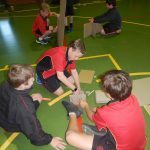 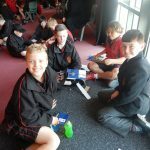 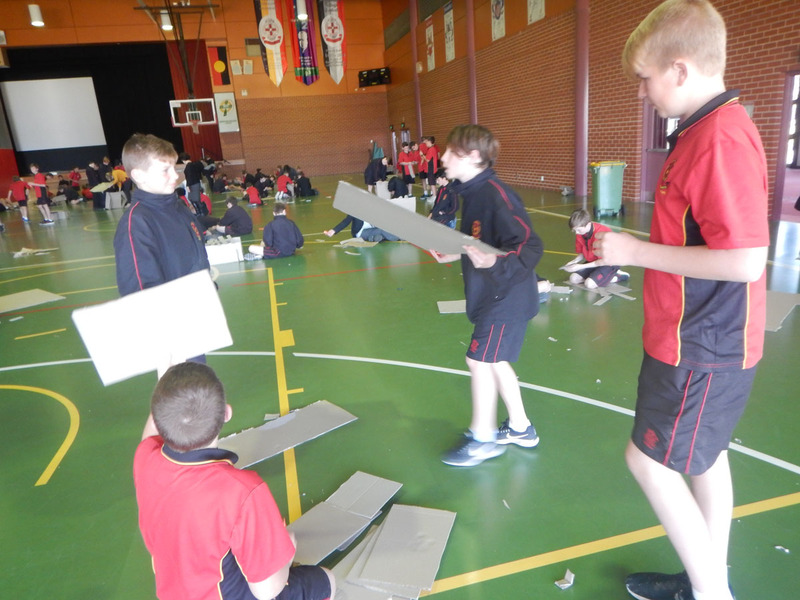 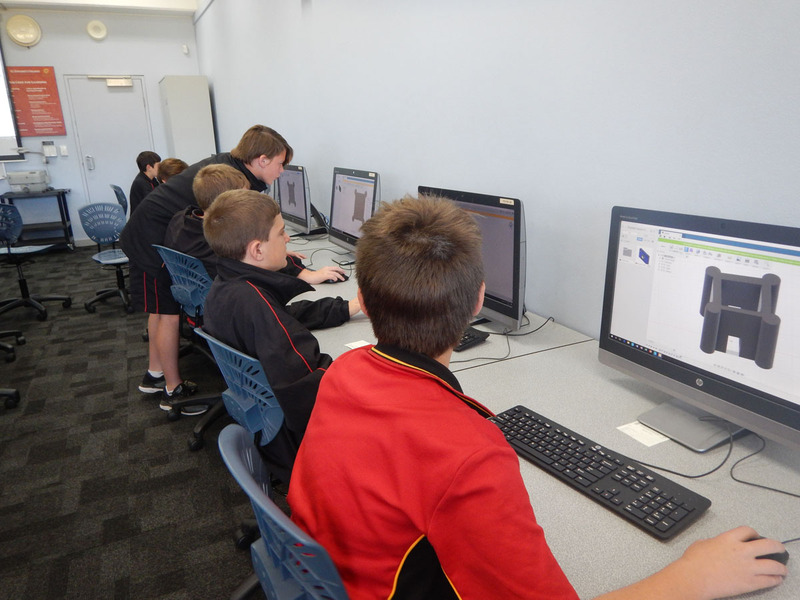 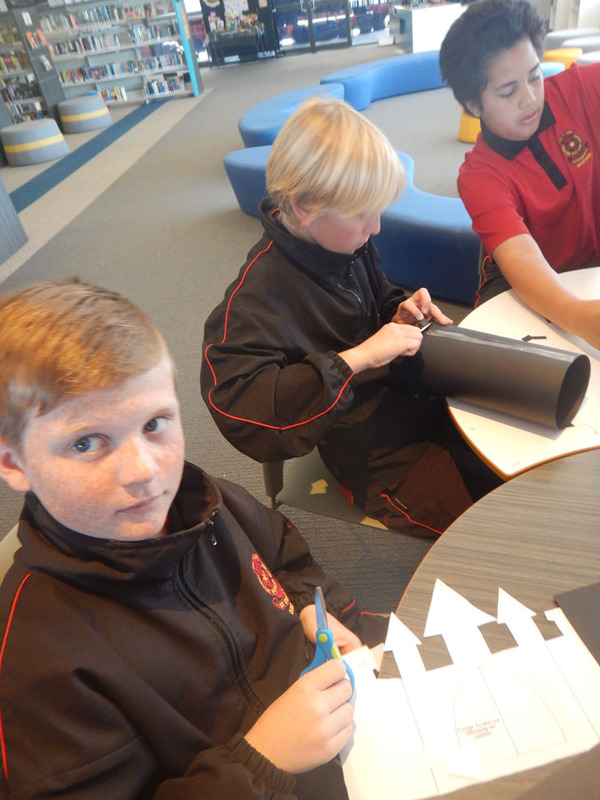 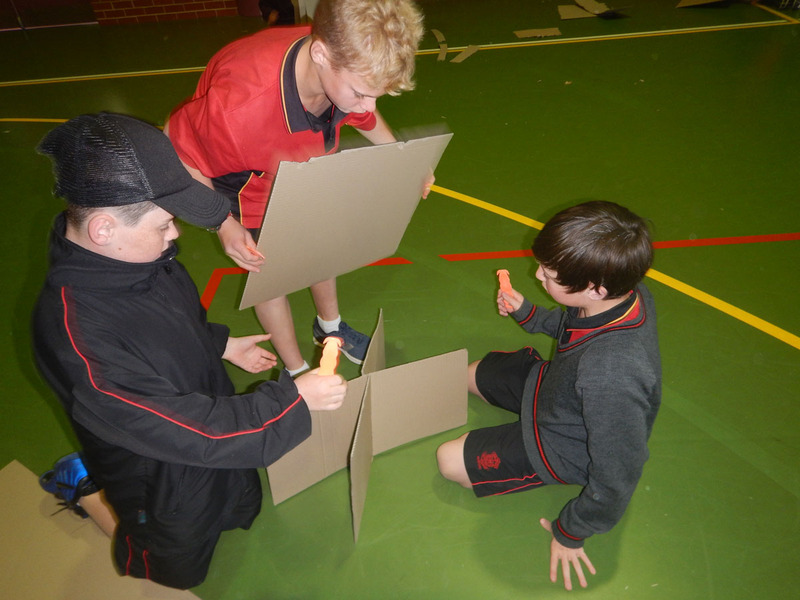 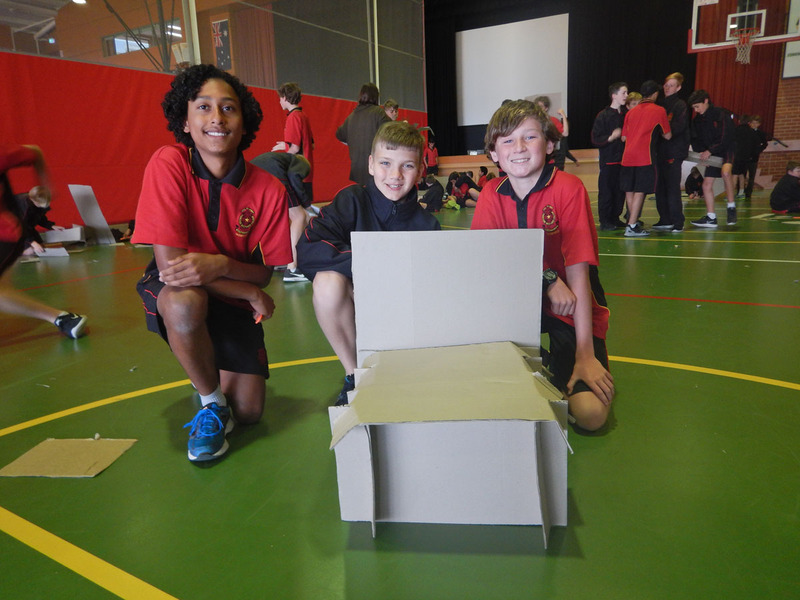 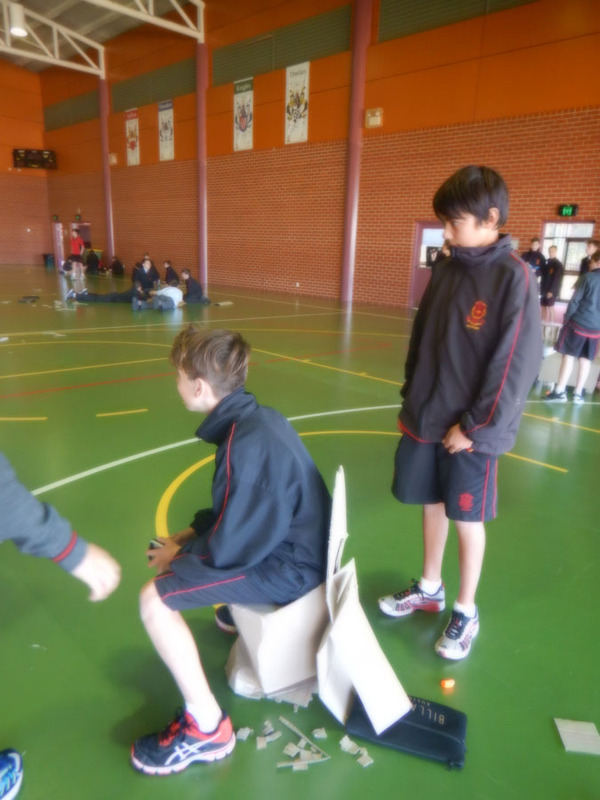 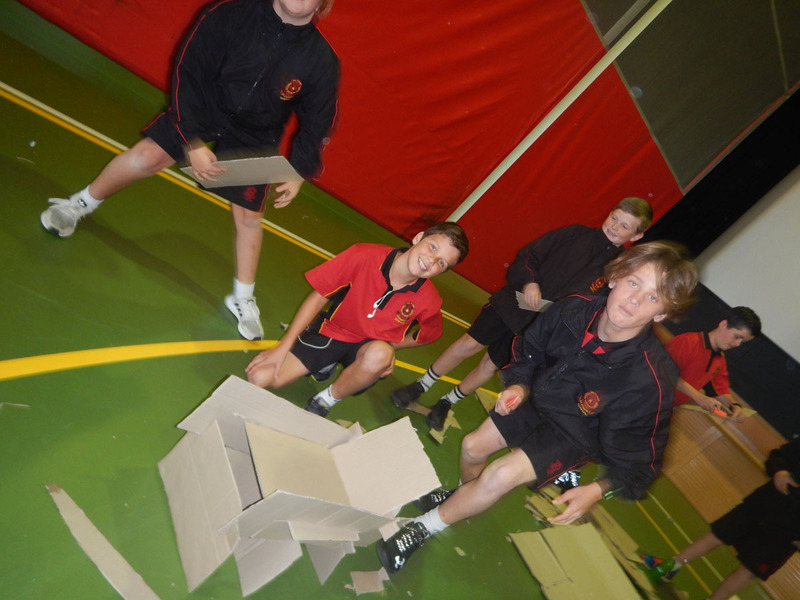 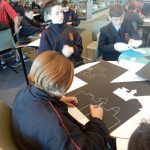 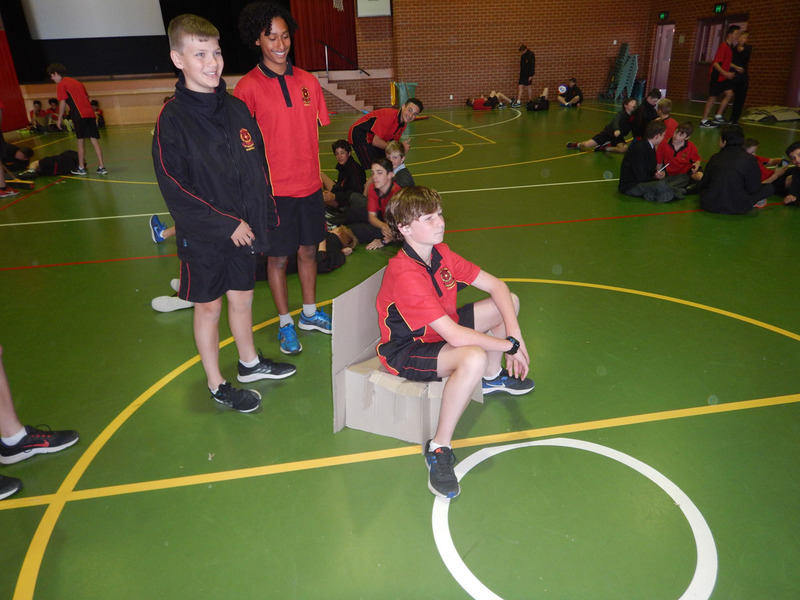 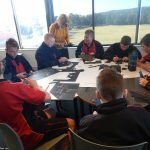 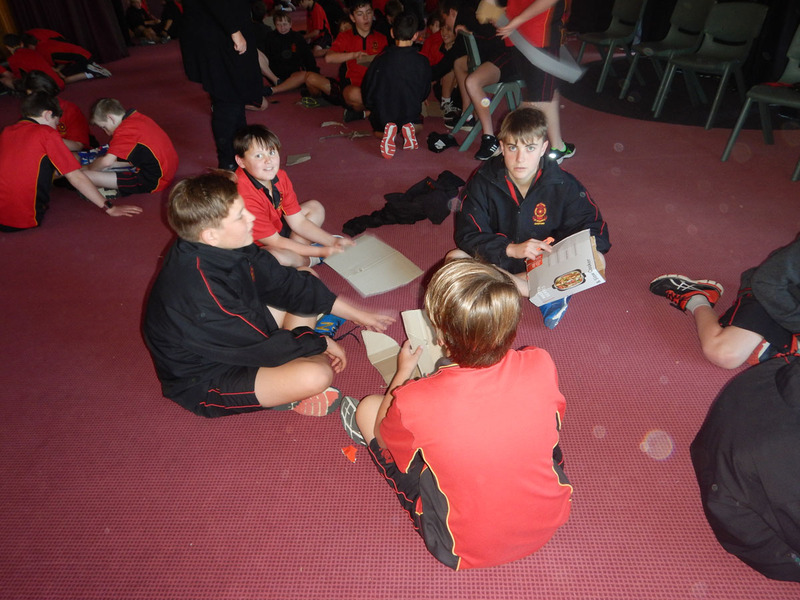 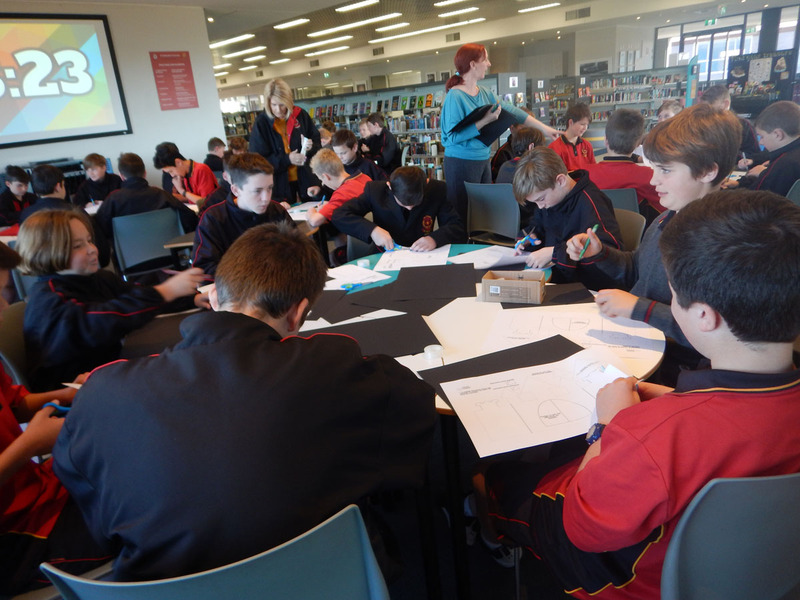 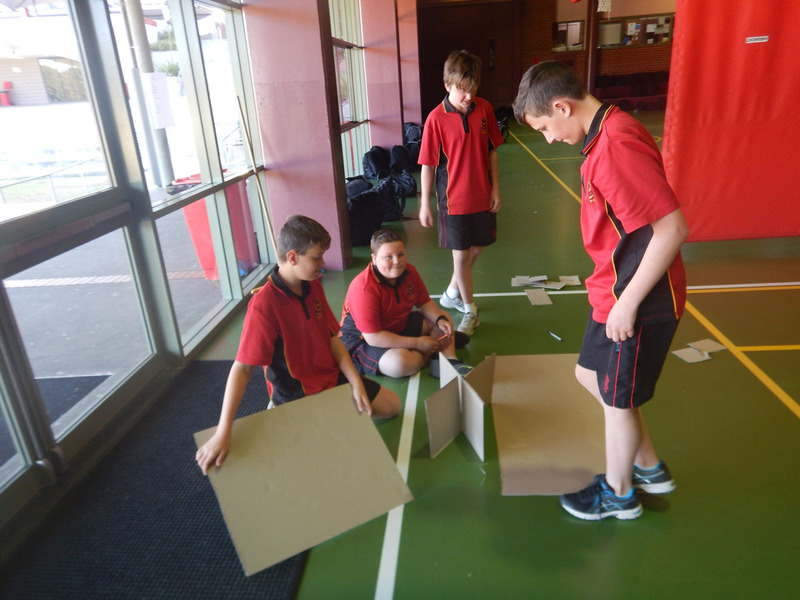 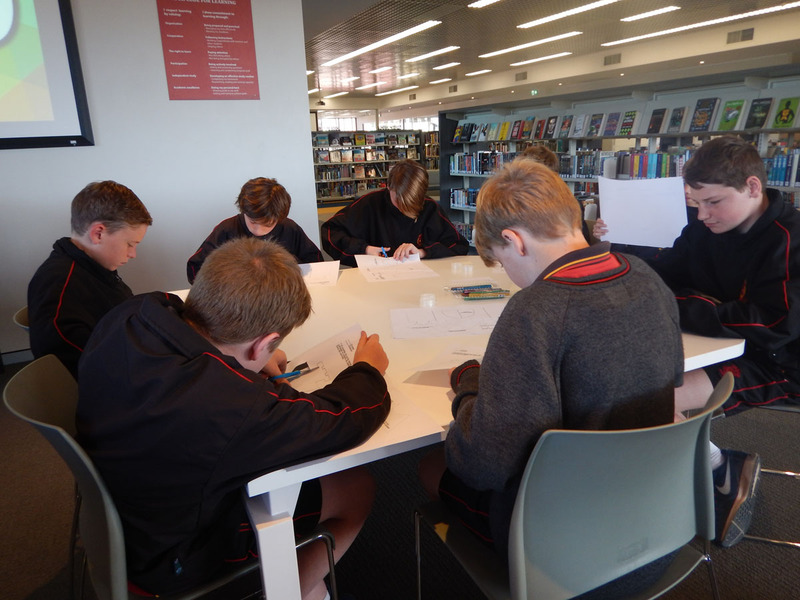 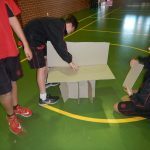 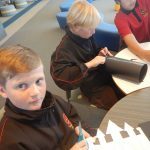 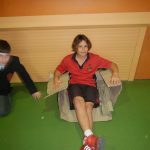 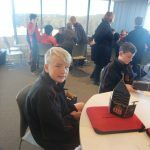 On Tuesday 21 August the Inaugural Year 7 Immersion Day in Fortress Design was held. 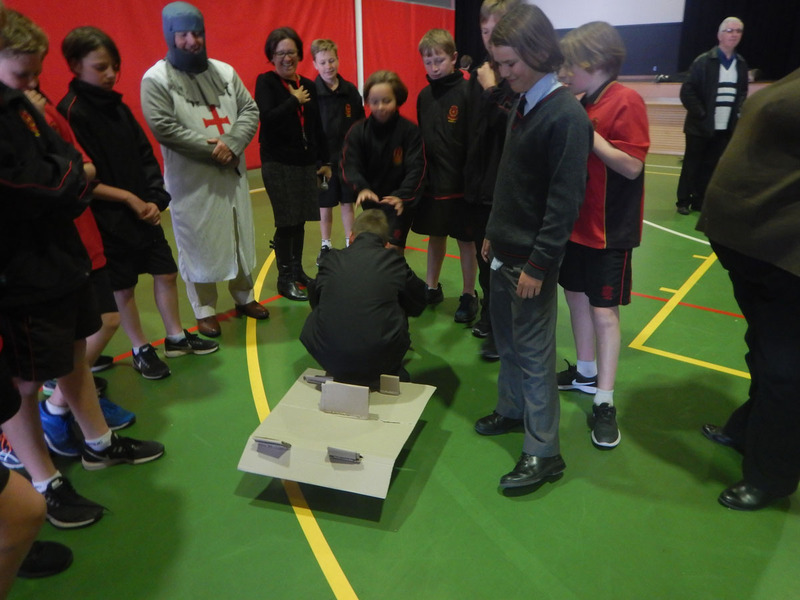 This day came about through collaboration between a few departments in an effort to bring engaging summative and formative assessment to our students as well as team building and problem solving skills. 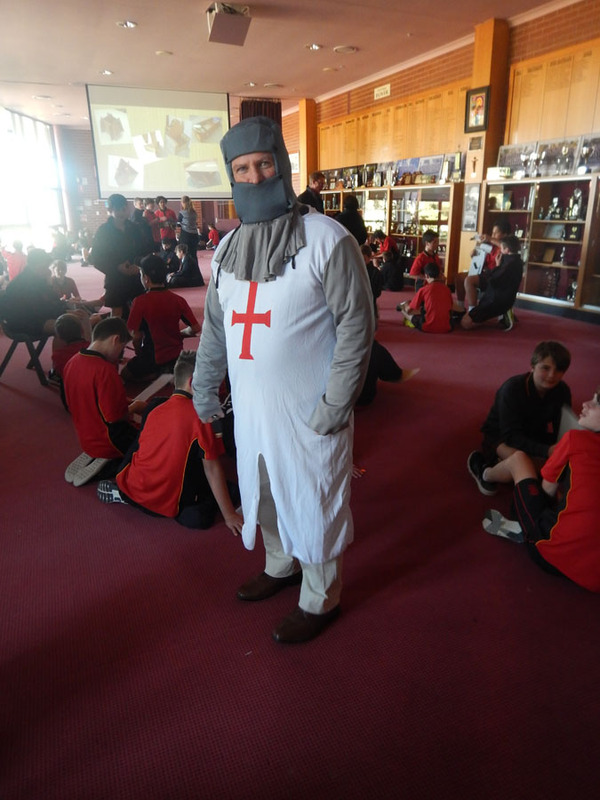 The day was a great success and the students had a fantastic time. 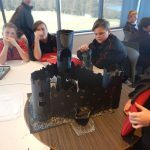 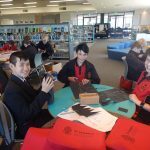 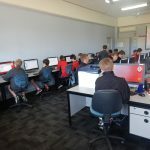 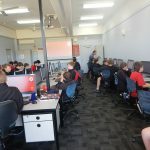 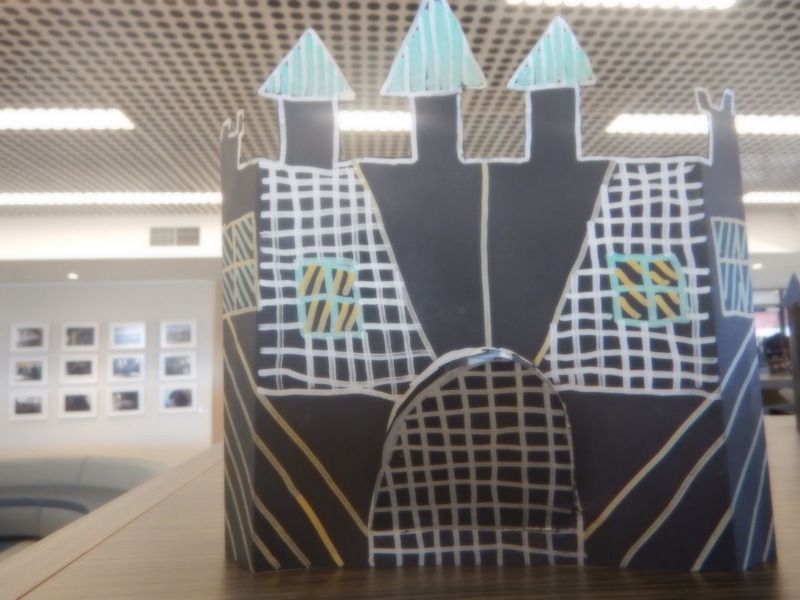 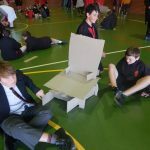 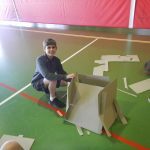 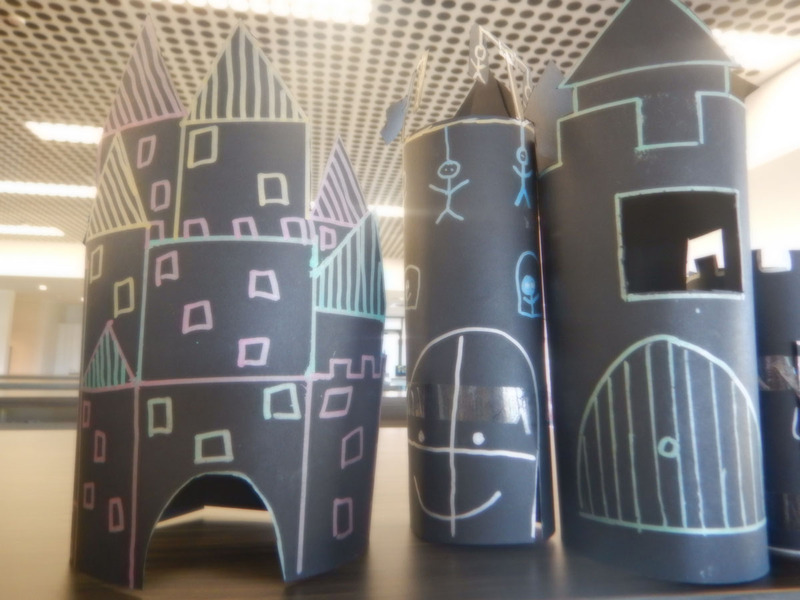 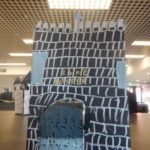 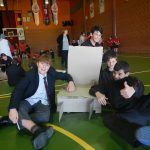 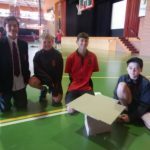 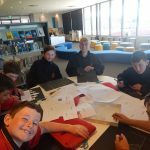 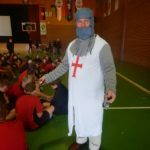 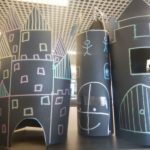 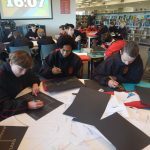 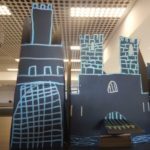 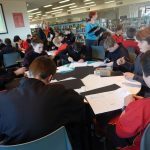 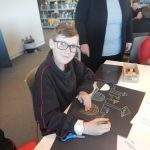 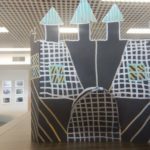 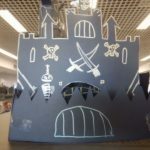 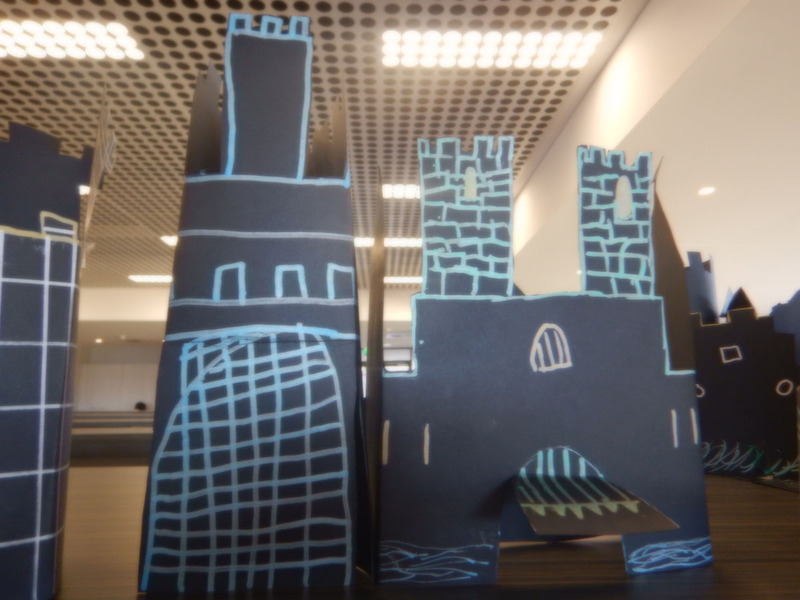 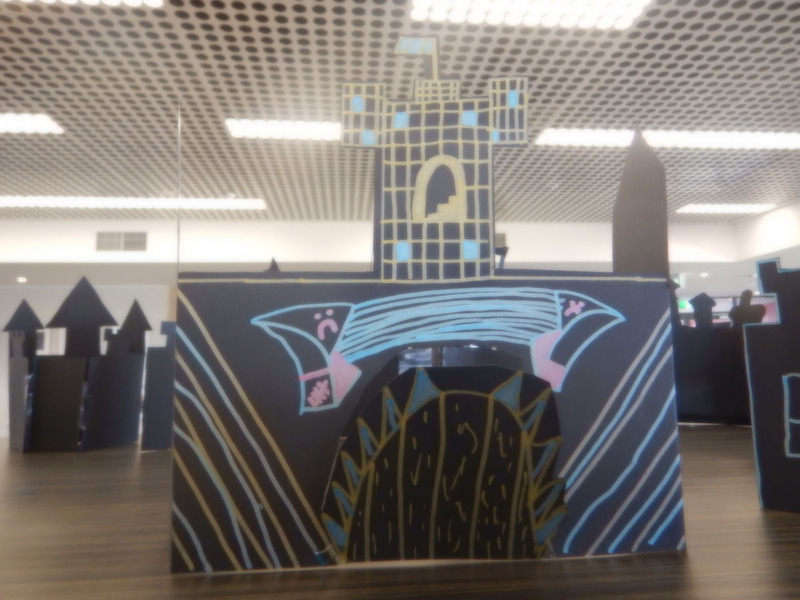 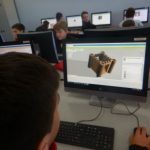 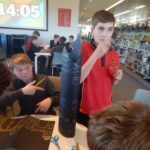 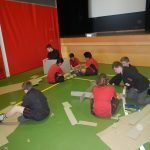 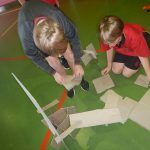 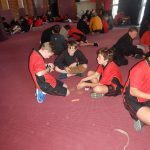 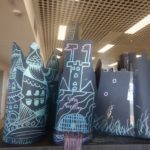 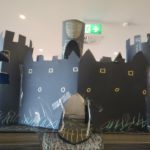 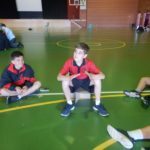 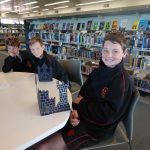 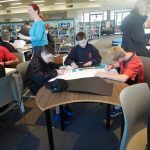 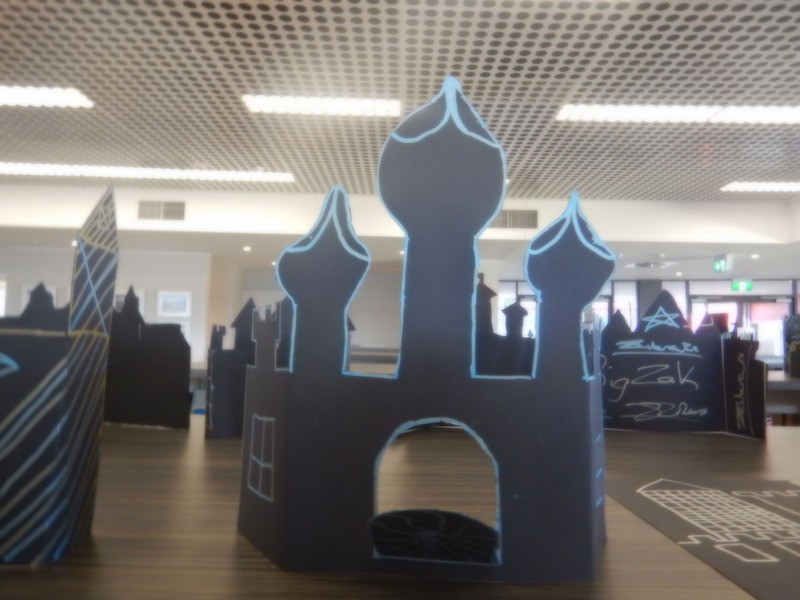 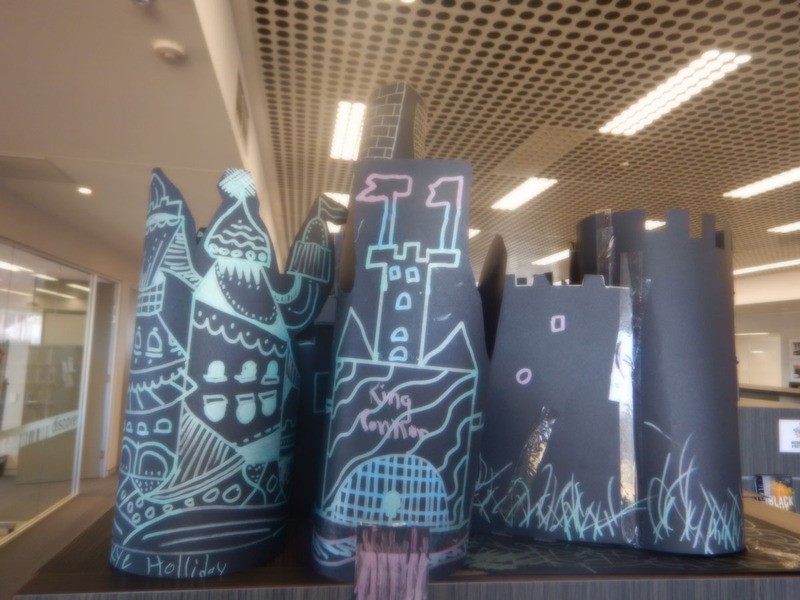 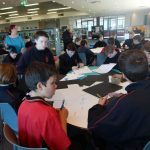 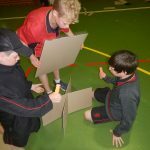 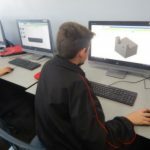 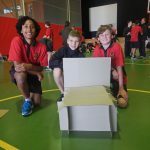 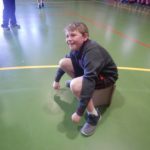 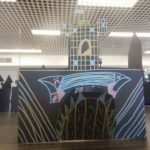 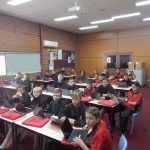 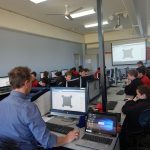 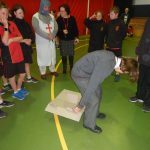 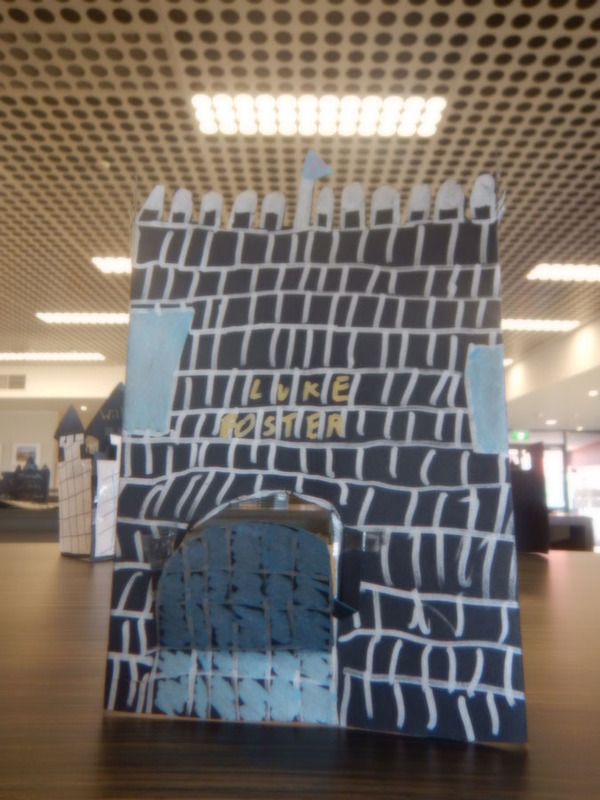 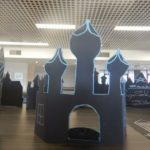 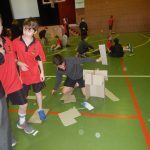 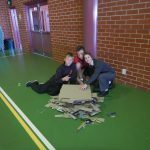 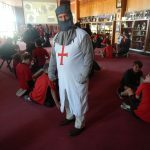 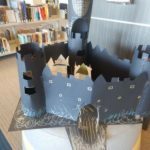 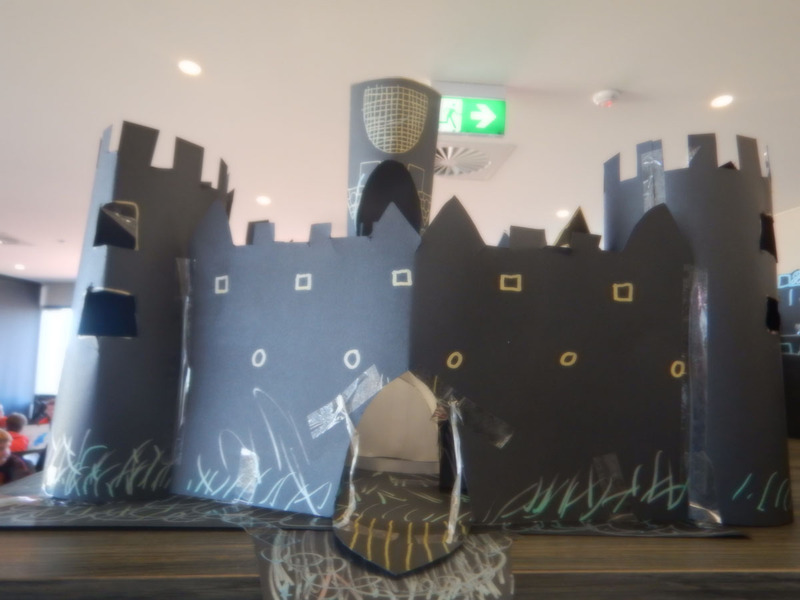 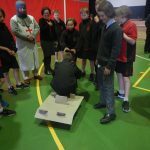 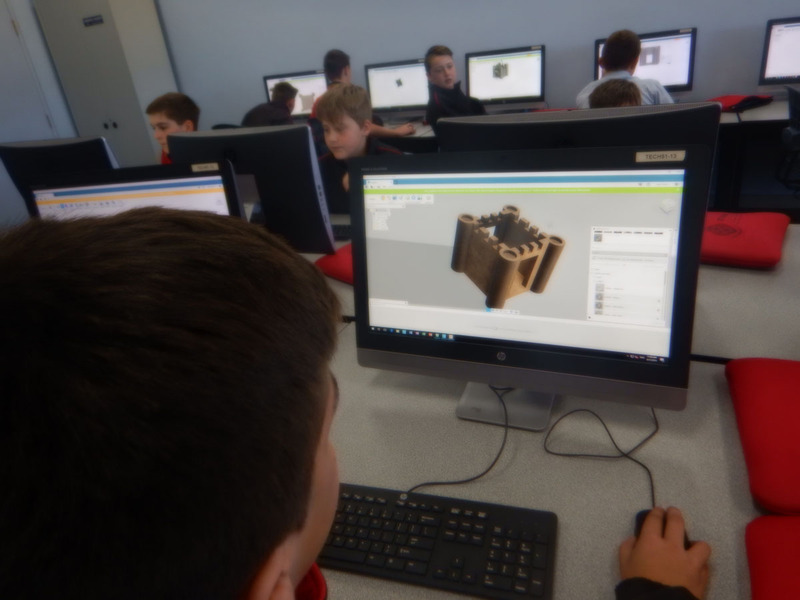 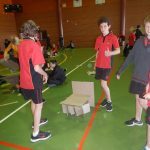 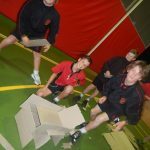 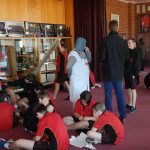 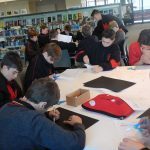 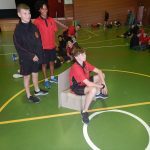 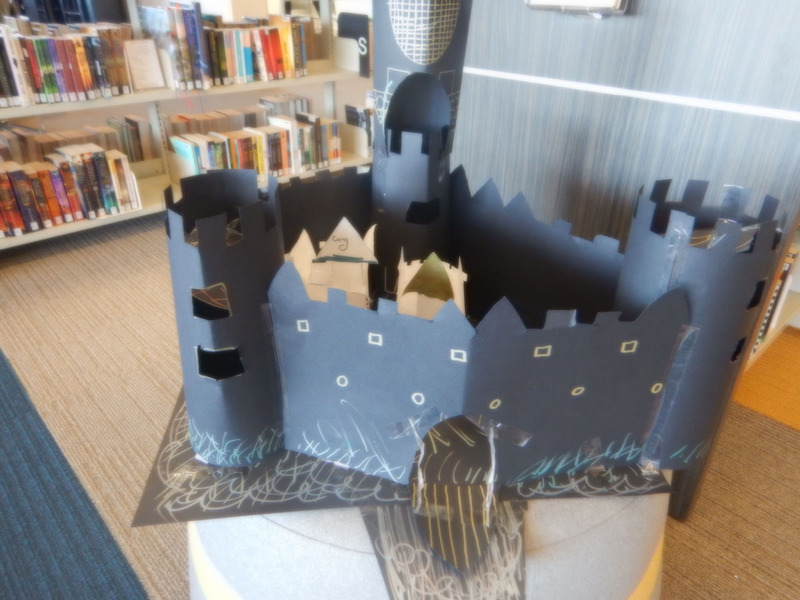 They took part in a number of different workshops on the day including Features of a Fortress, Cardboard Challenge, Makerspace, Fusion 3D printing and Minecraft for Education. 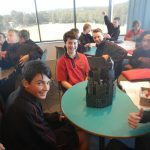 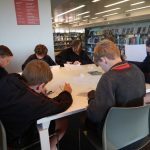 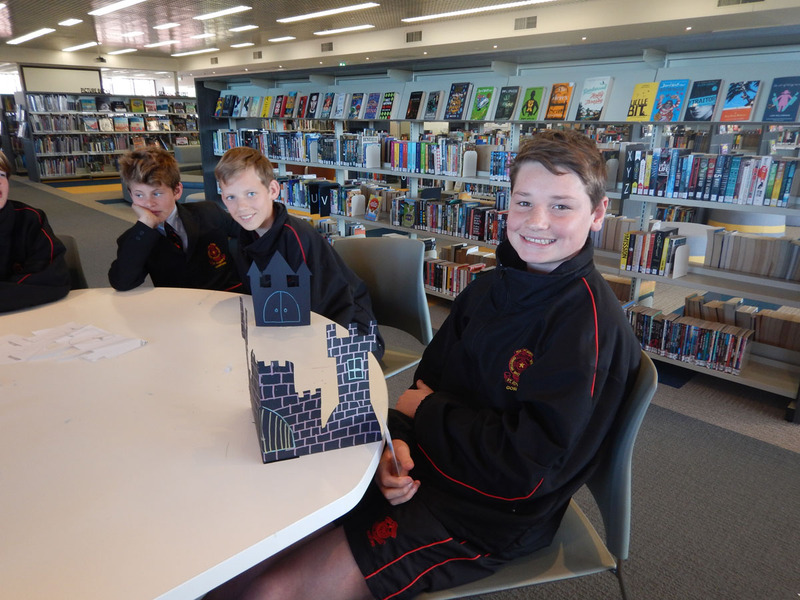 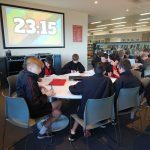 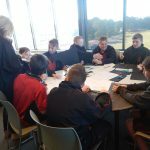 The boys will now be choosing one of those media forms and creating a fortress as a part of their visual element of the English summative assessment for the term. 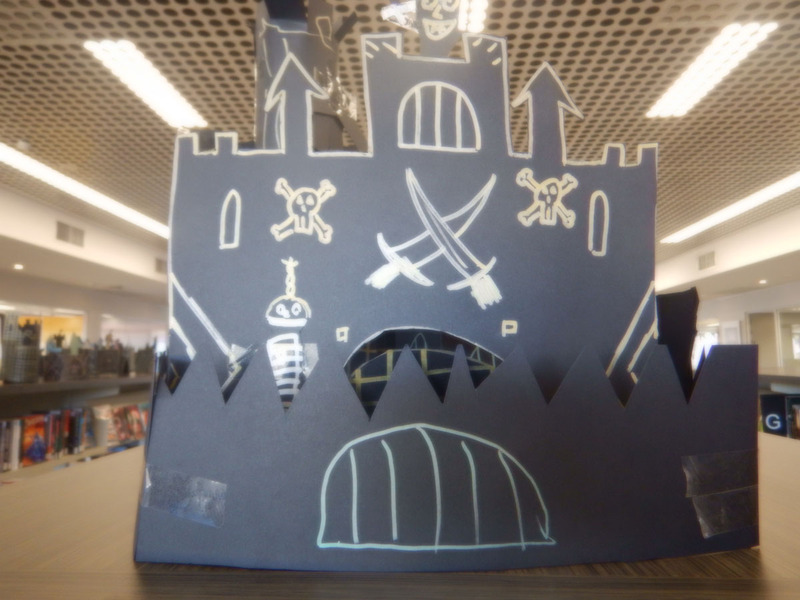 They are excited to be writing about heroes, epic quests and the ultimate battle to keep their hero and fortress safe. 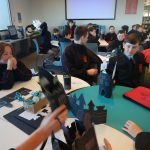 It is wonderful to see and hear such positive reports from the students about how much they are enjoying this unit of work in English. 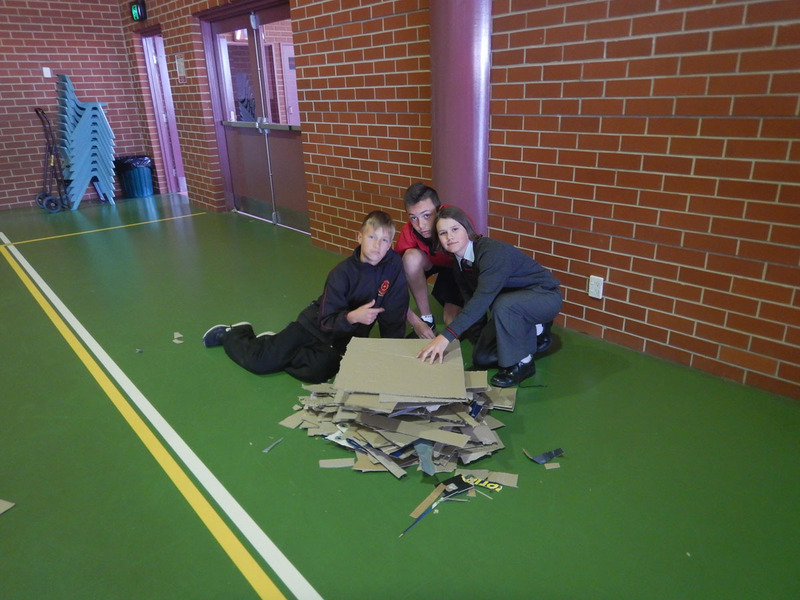 It always takes a team to make a day like this great – there is no way I could have done this alone. 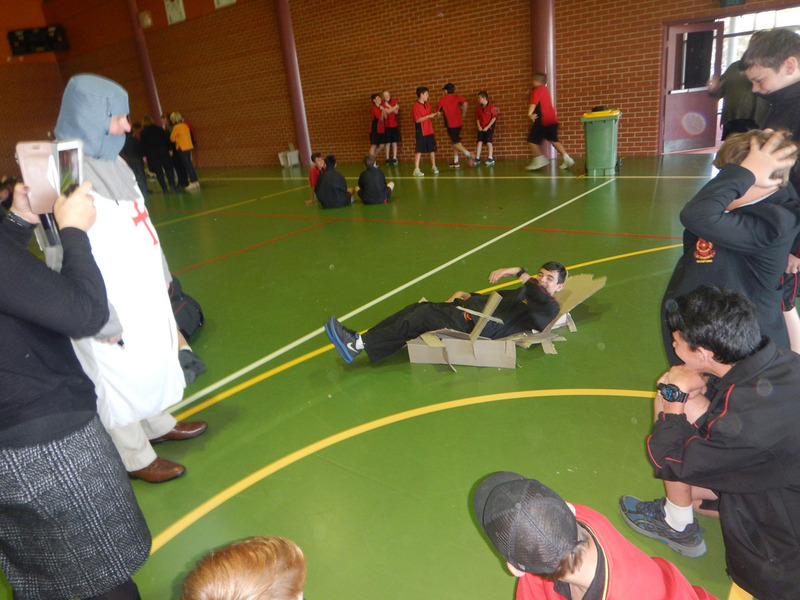 It was a cross-curricular effort from a team of teachers who are not afraid to try something new. 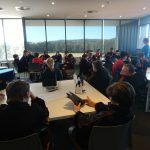 So a gigantic thank you to Mrs Carolina Murdoch, Mr Jackson English, Mr Jay Brown, Mr Matt Young, our Core team of teachers and our Learning Support team. 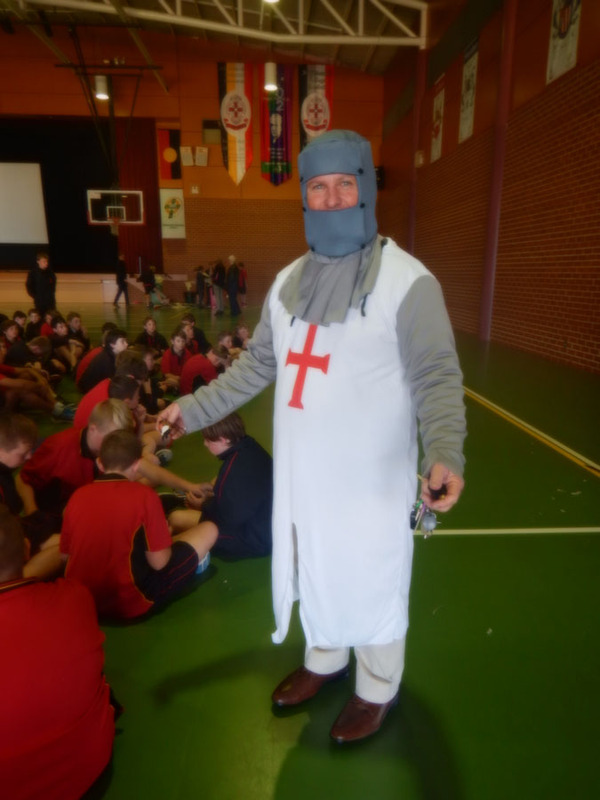 Thank you for everything and let’s hope this is a tradition we will build on each year.